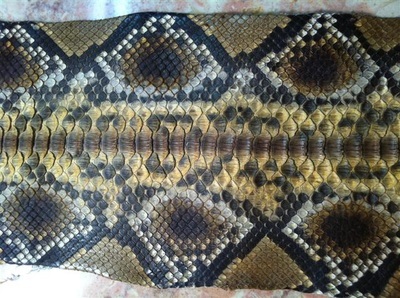 Hover over photo for item﻿﻿ description. 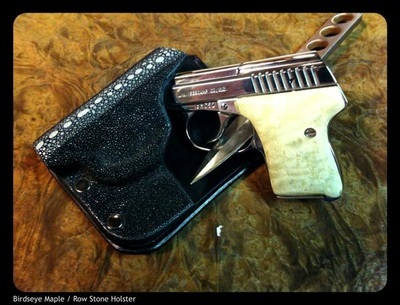 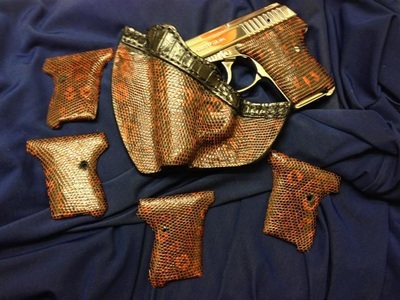 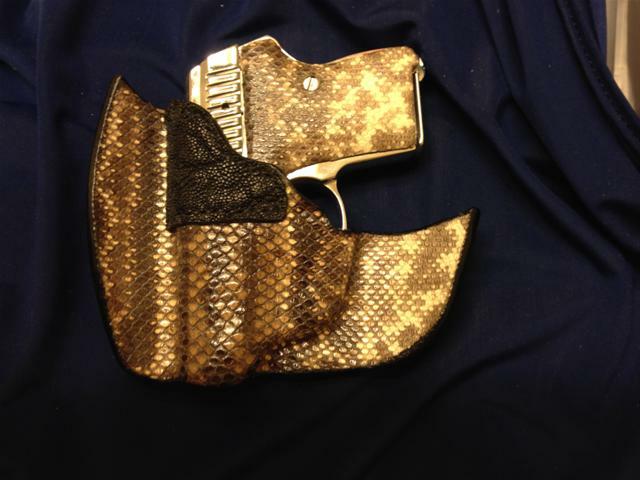 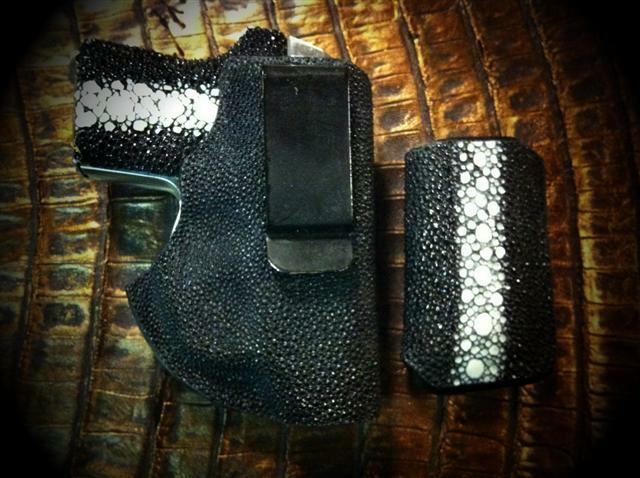 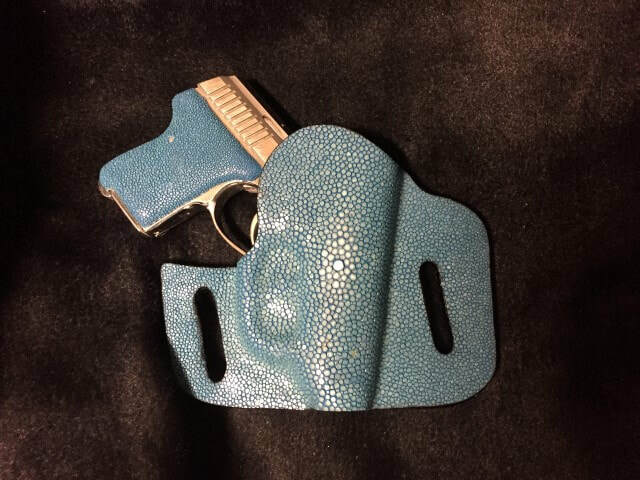 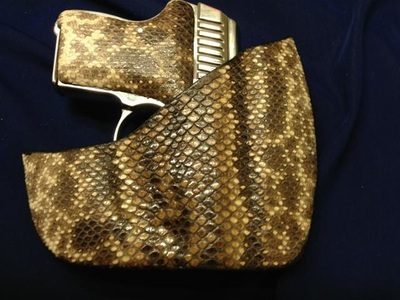 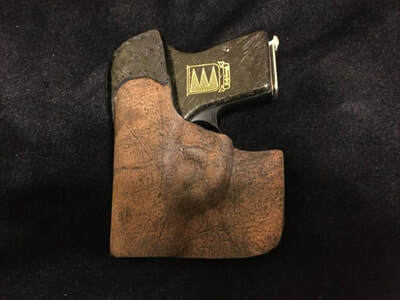 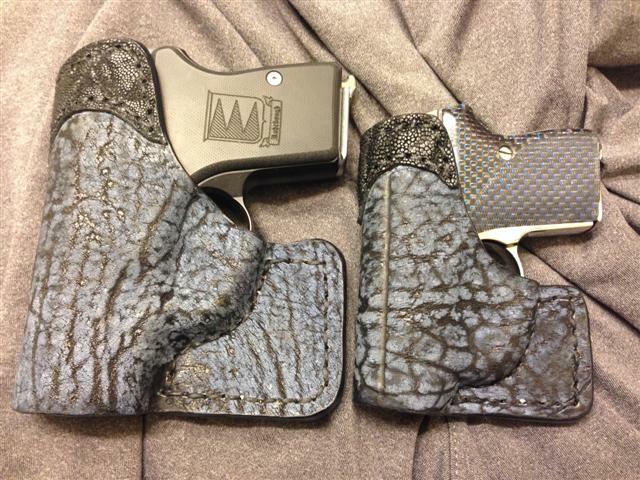 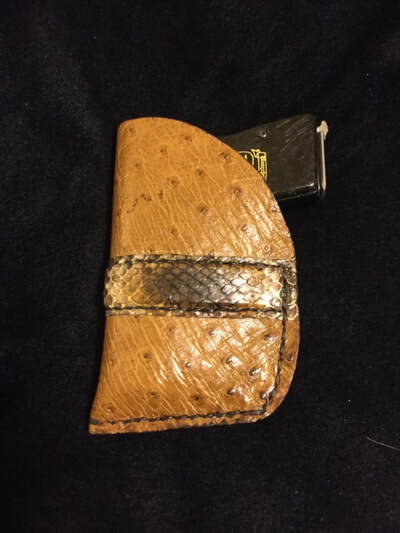 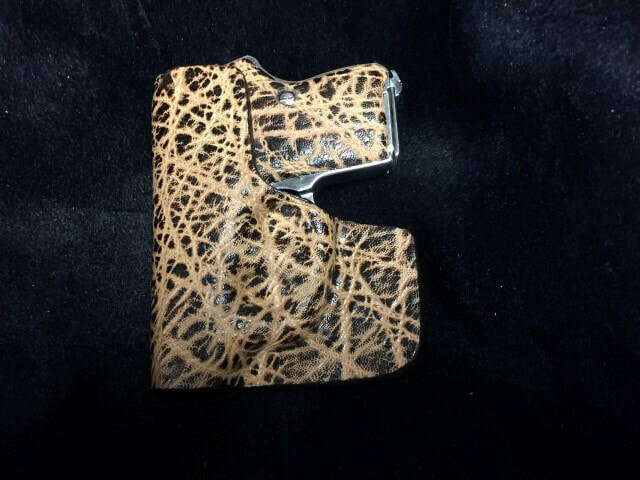 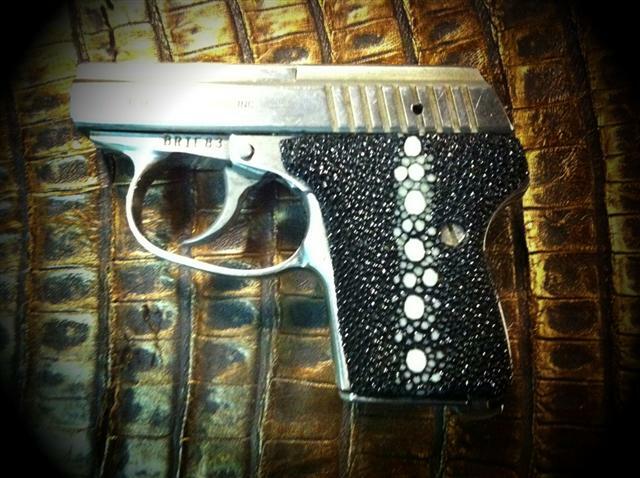 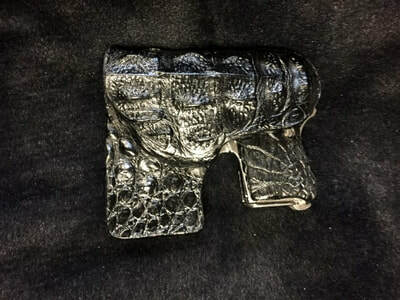 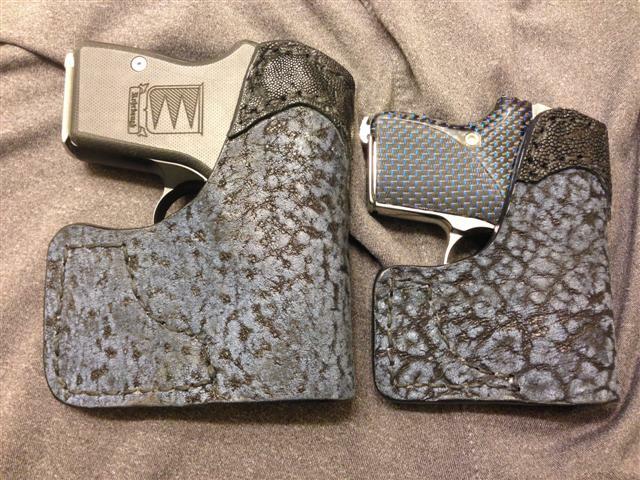 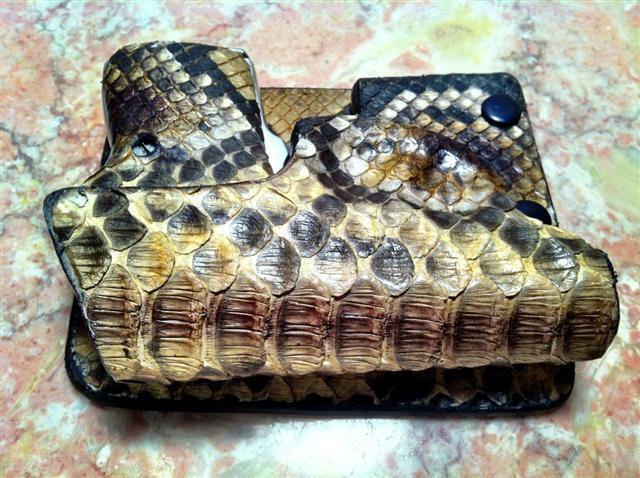 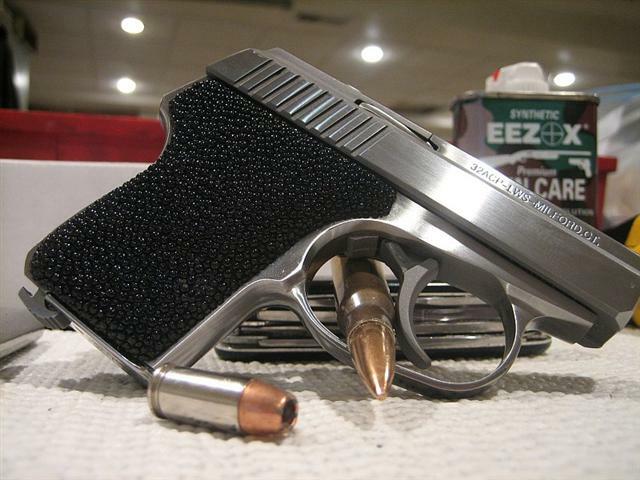 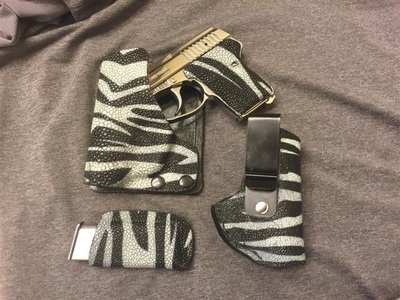 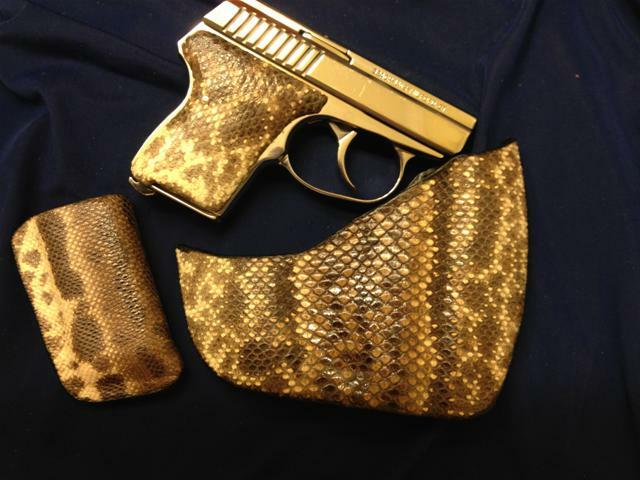 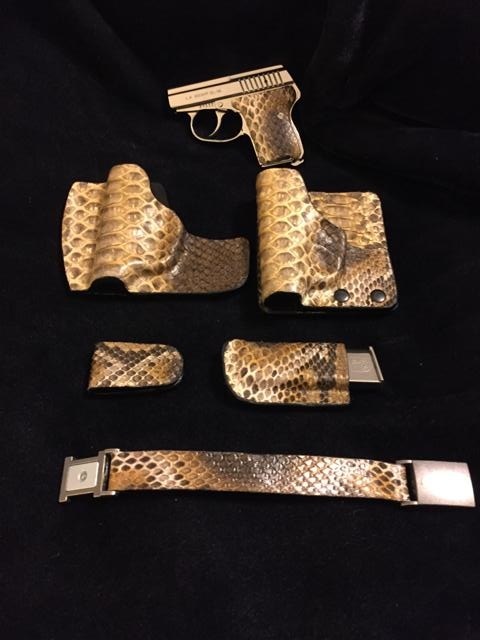 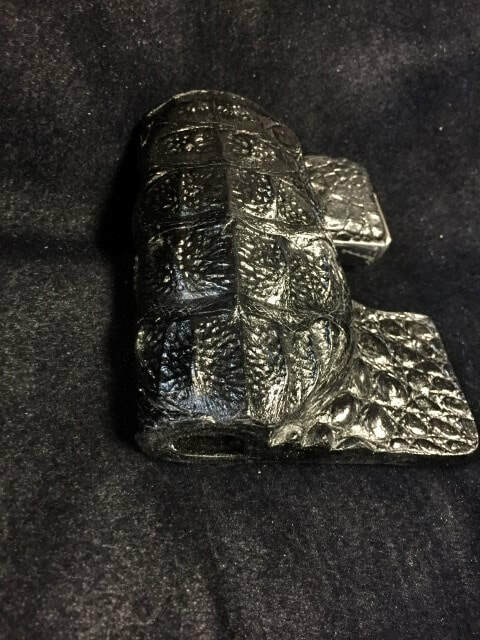 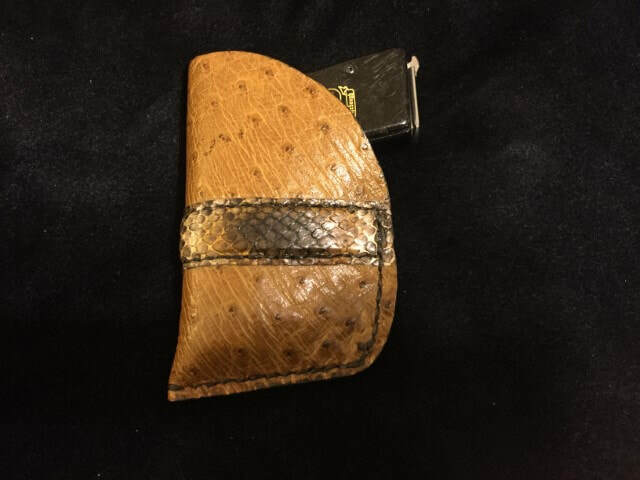 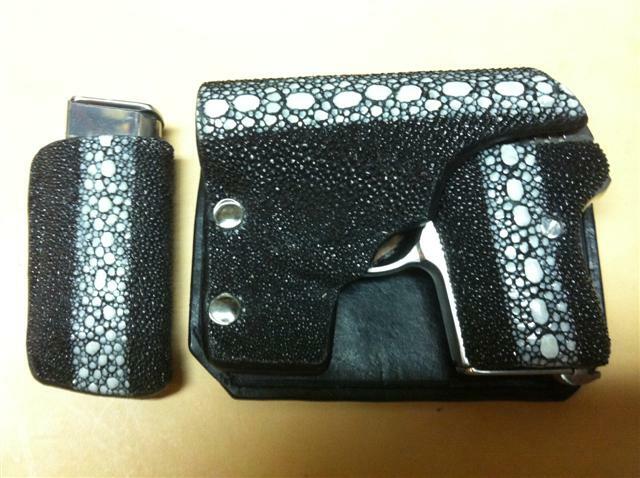 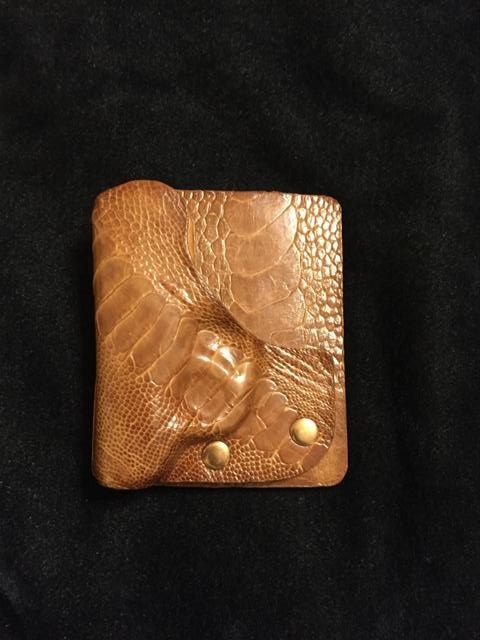 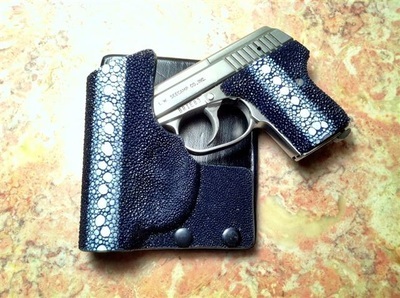 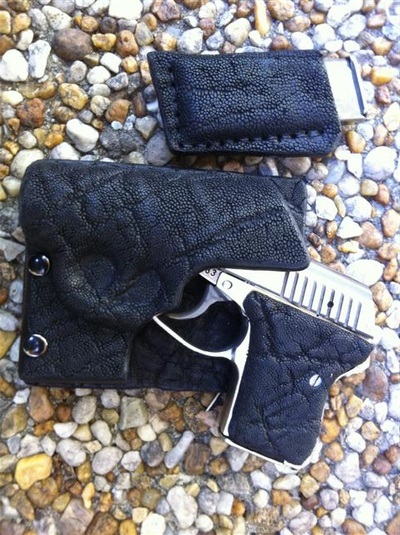 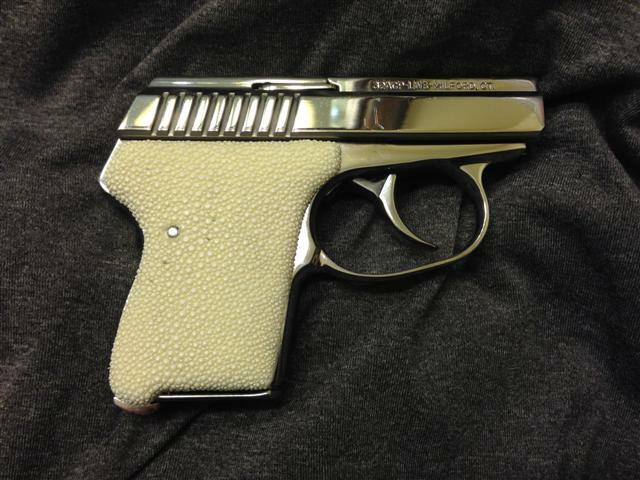 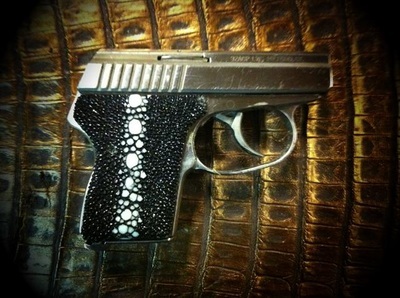 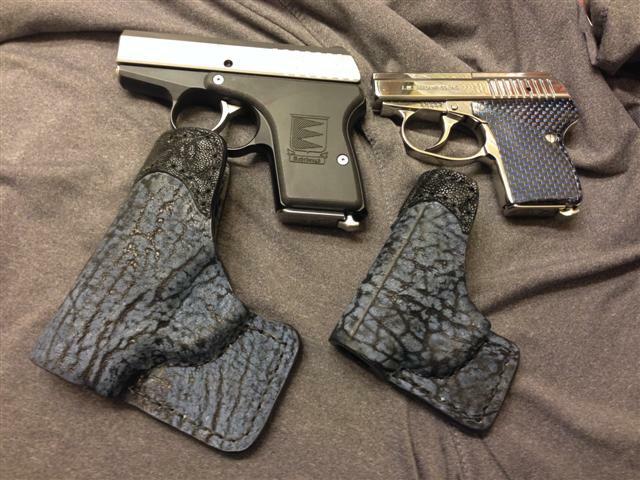 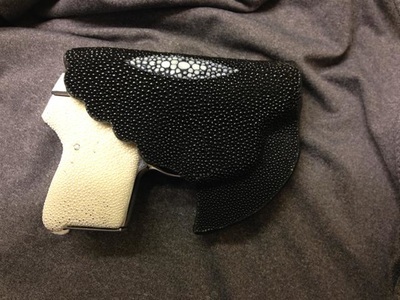 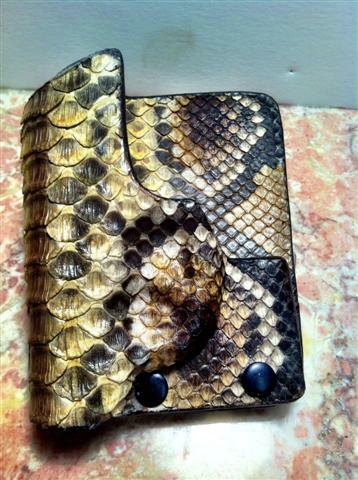 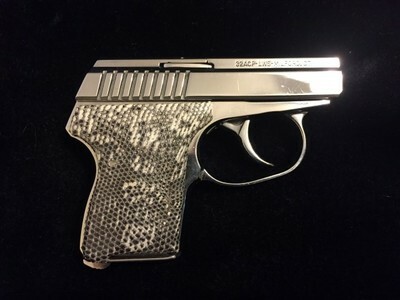 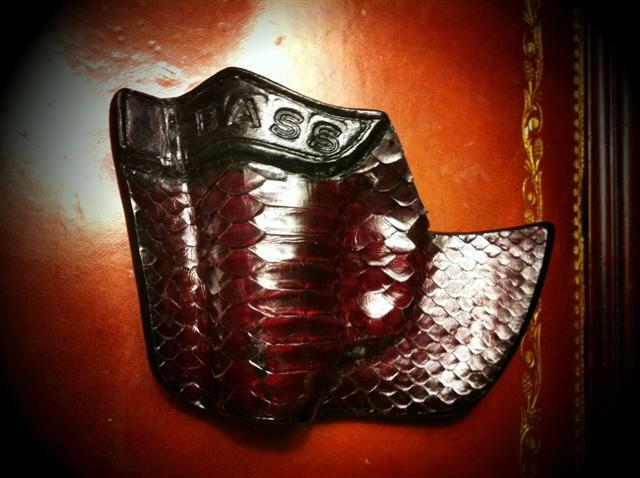 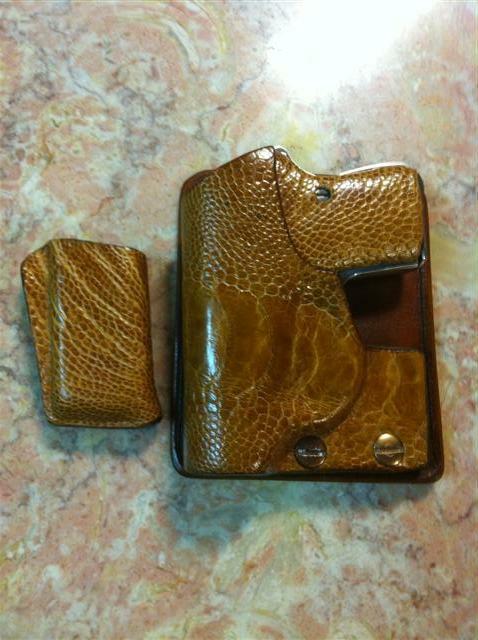 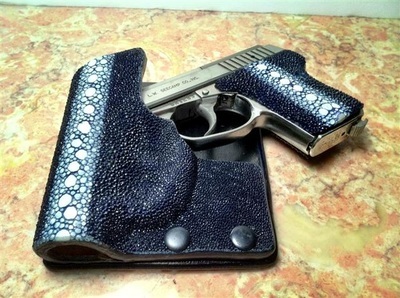 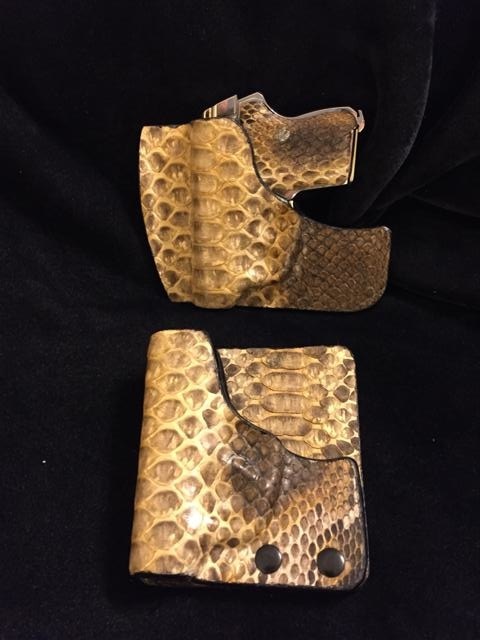 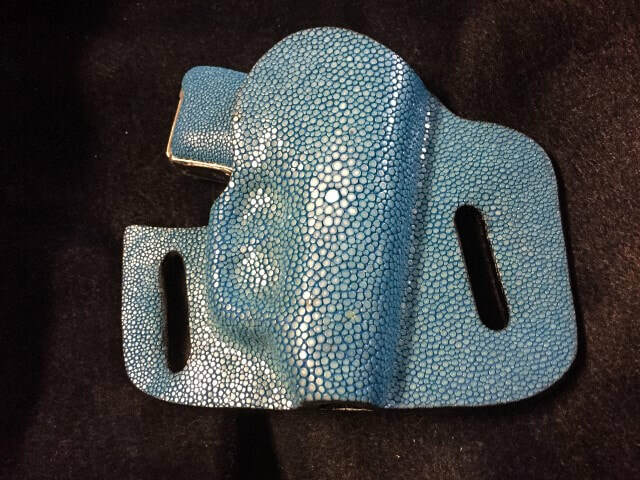 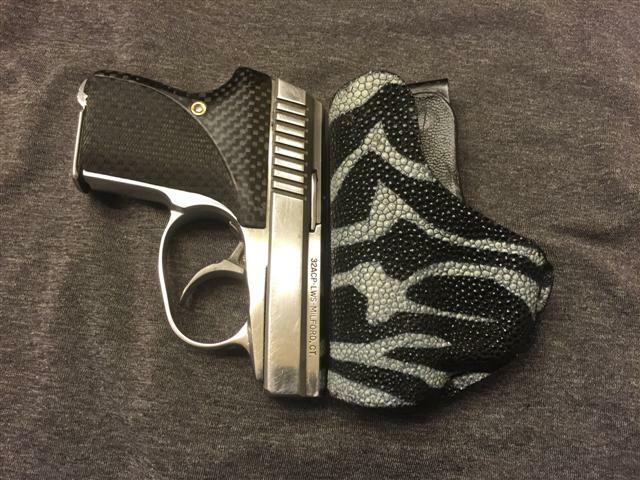 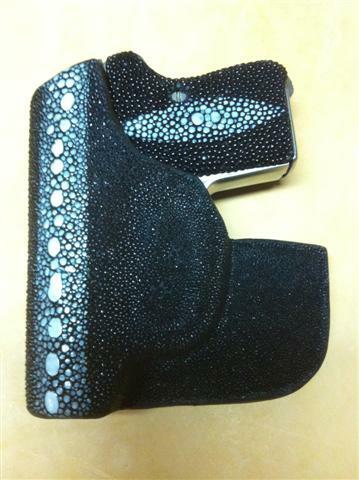 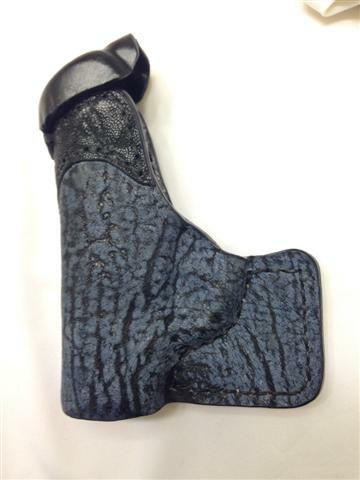 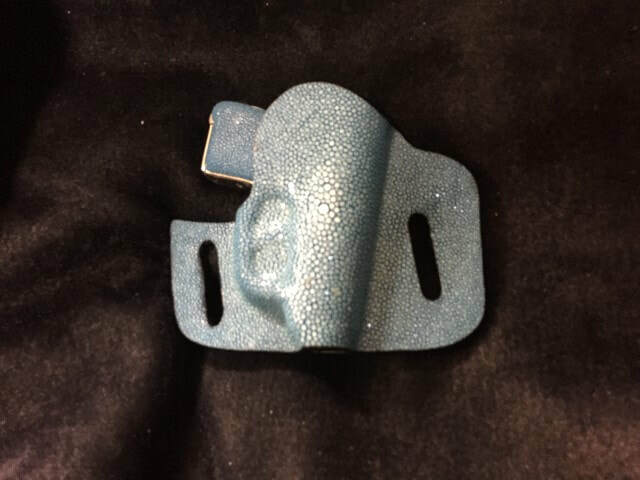 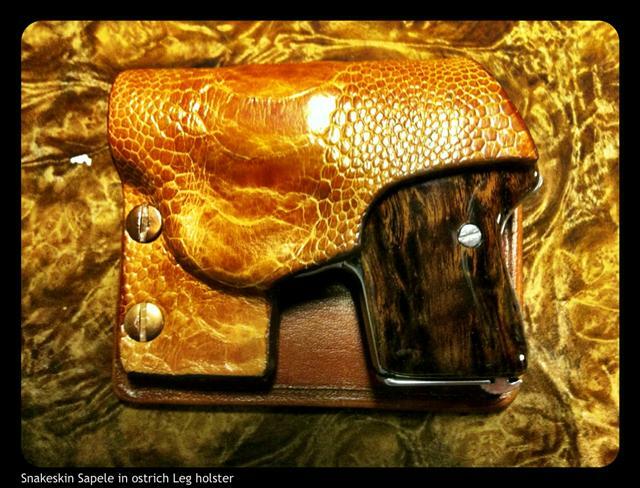 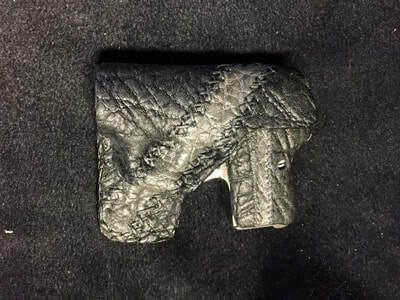 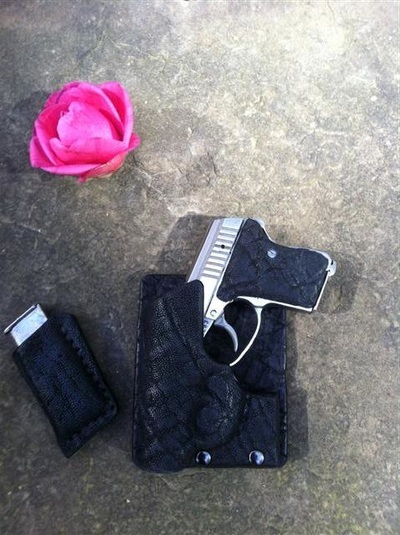 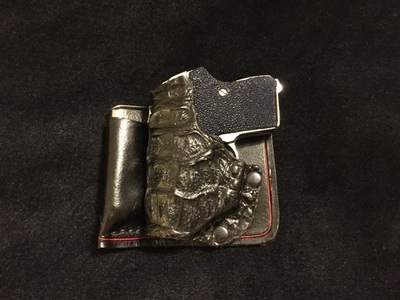 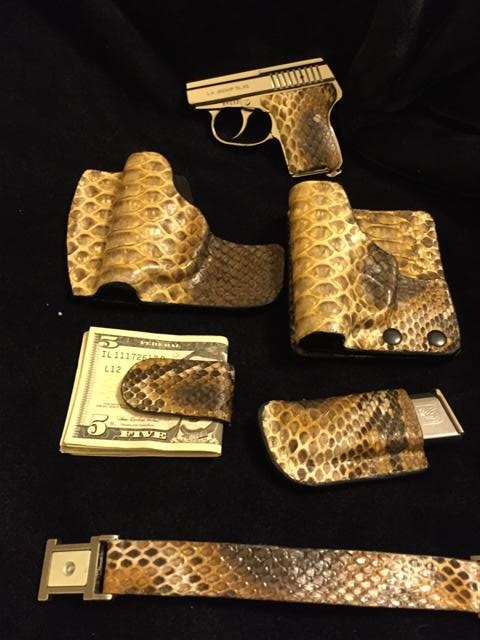 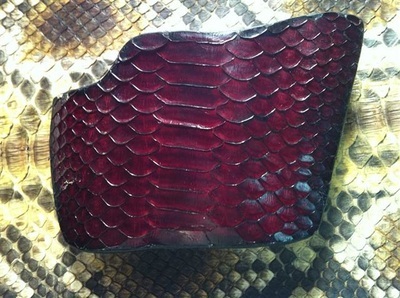 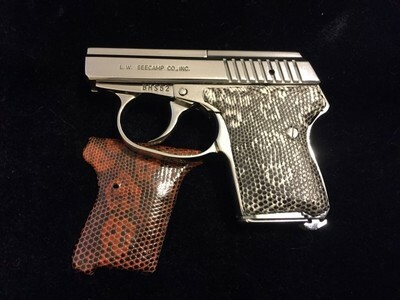 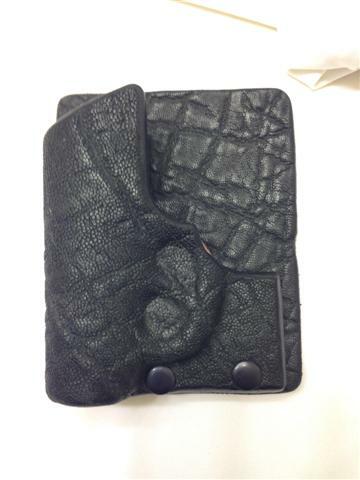 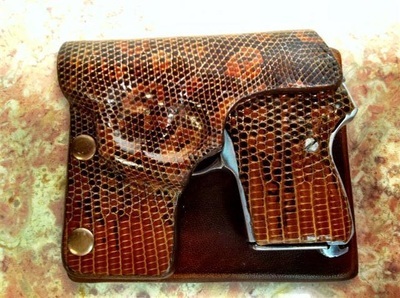 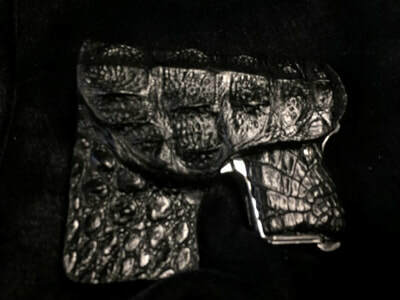 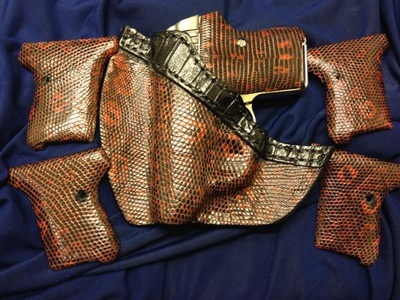 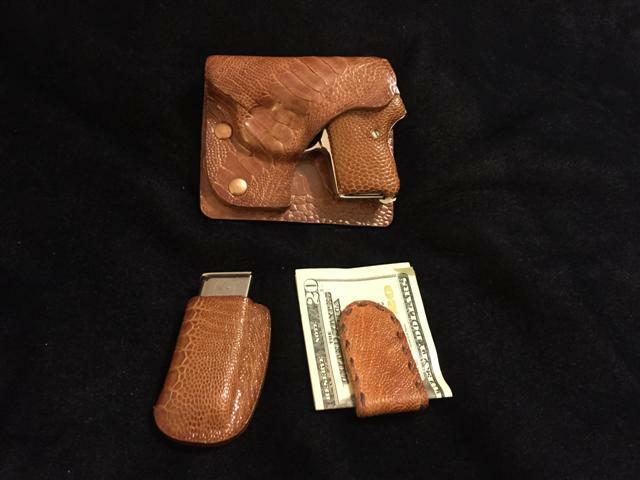 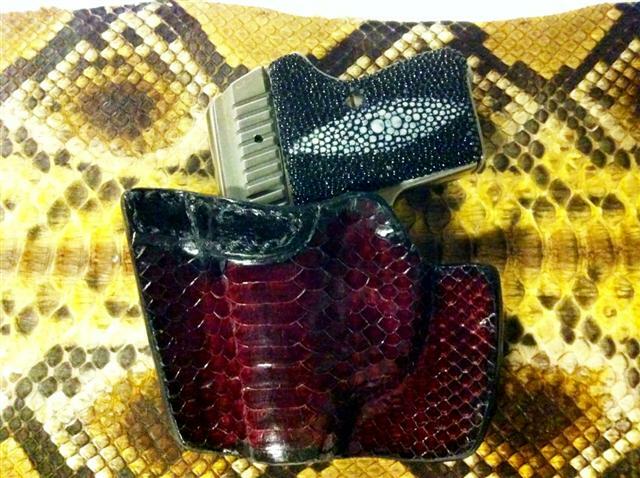 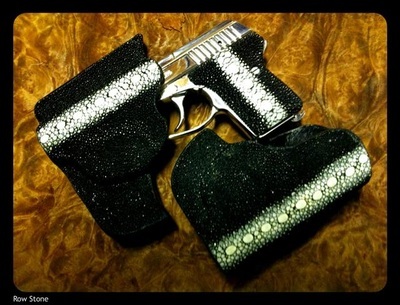 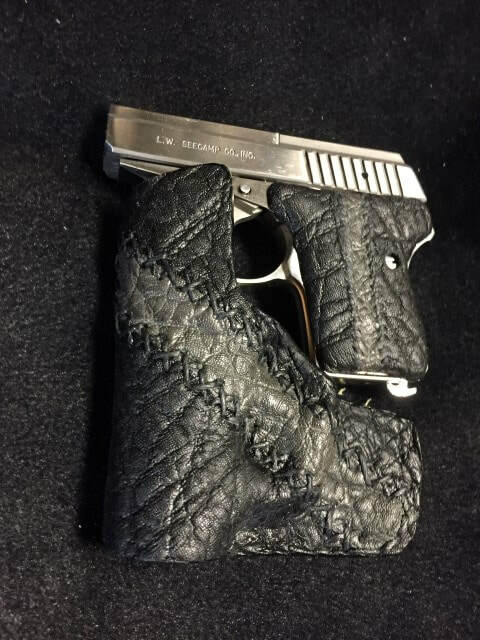 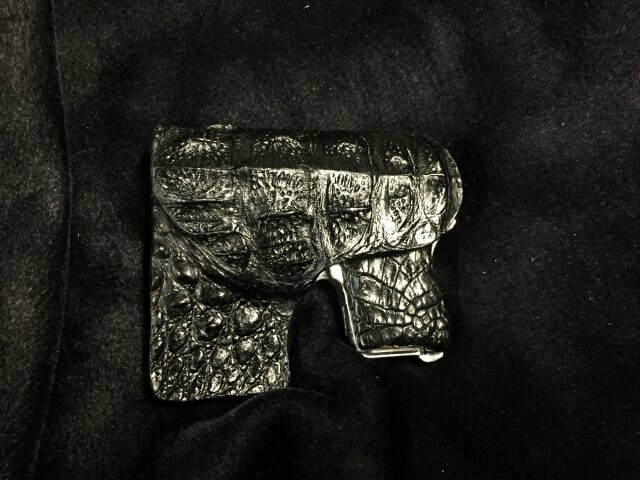 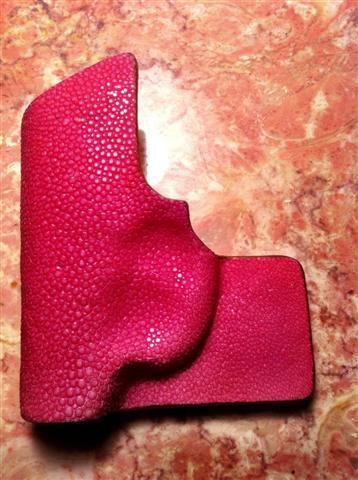 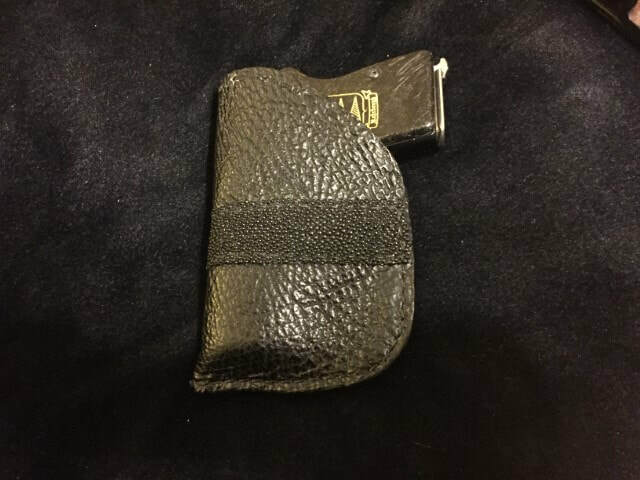 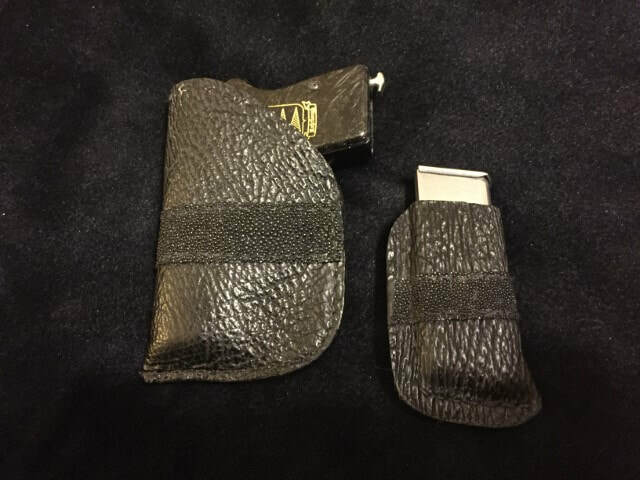 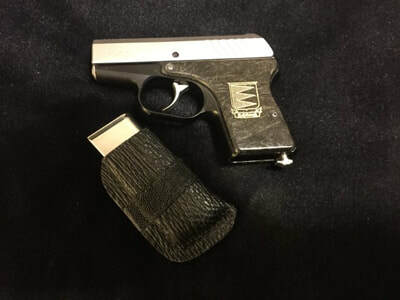 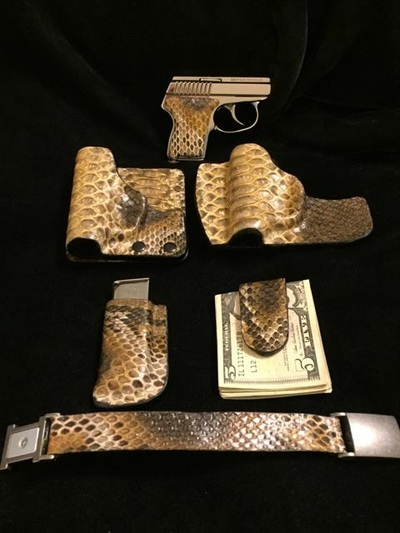 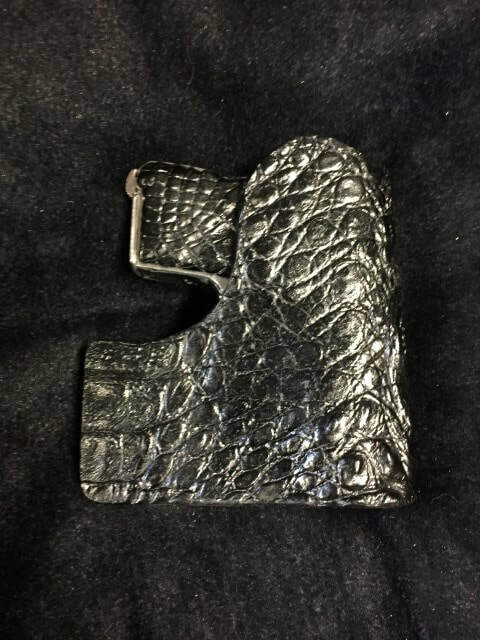 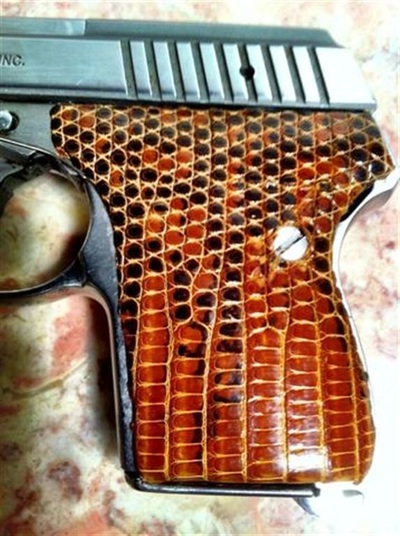 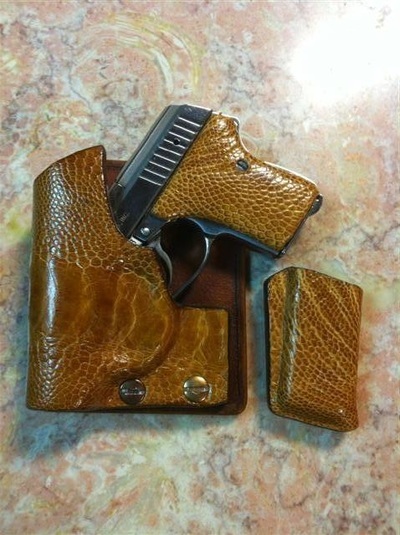 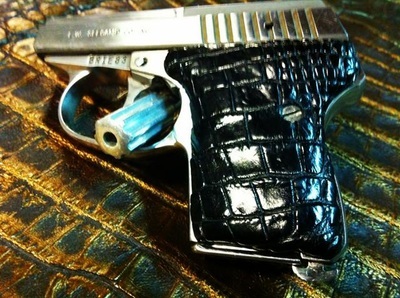 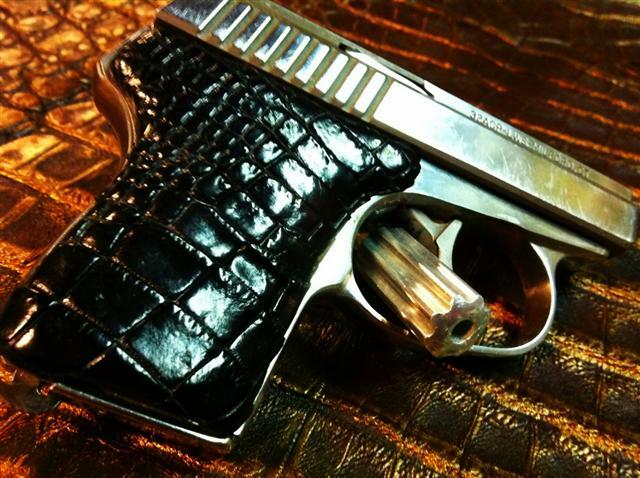 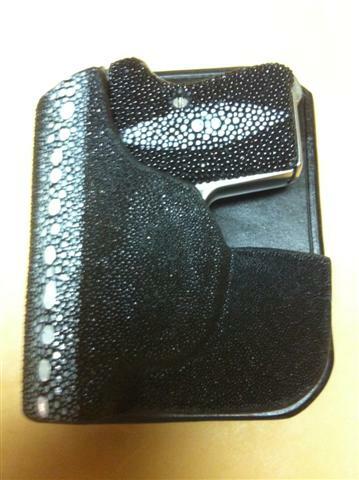 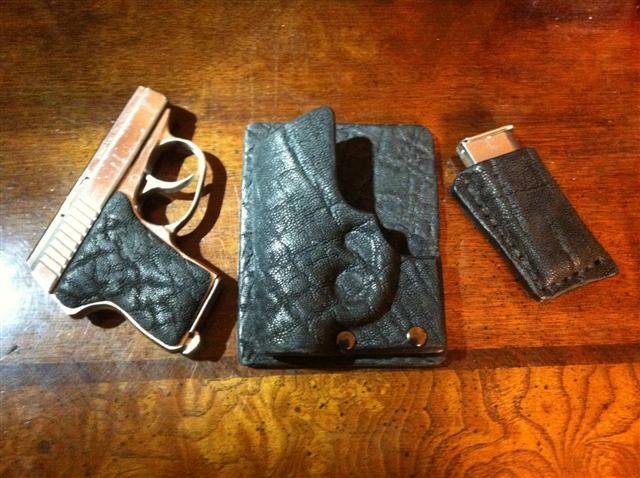 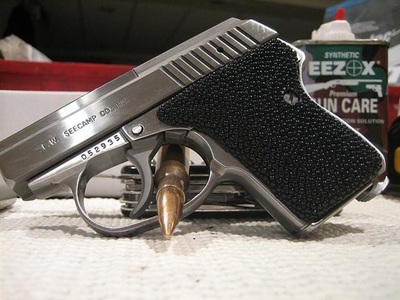 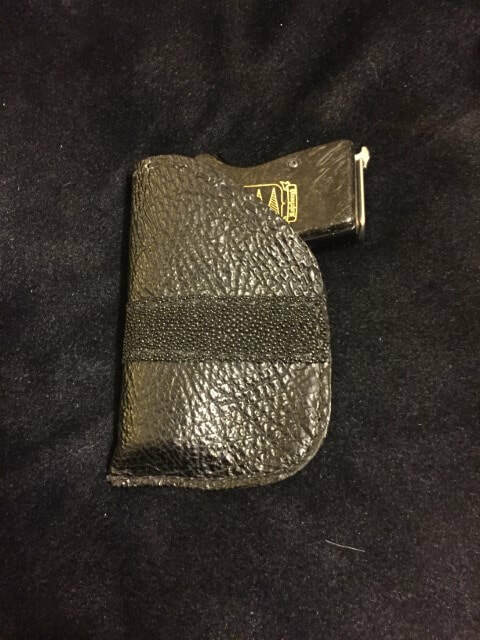 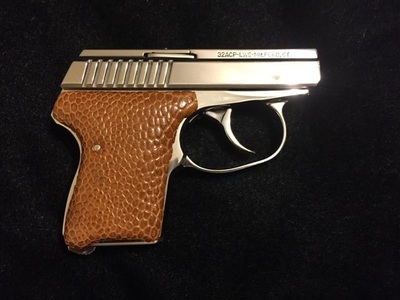 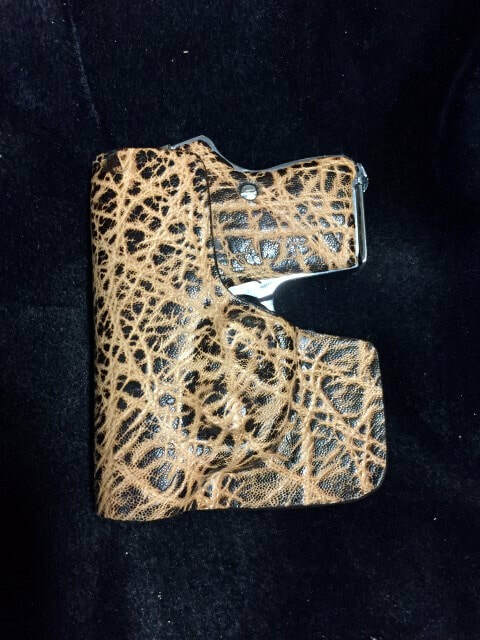 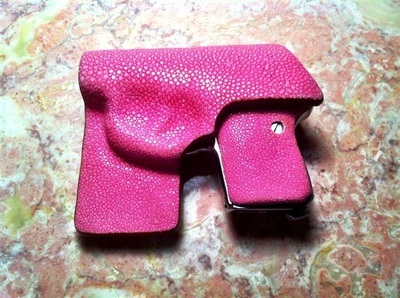 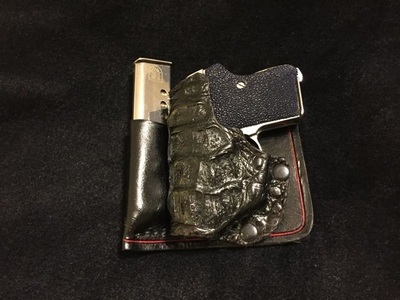 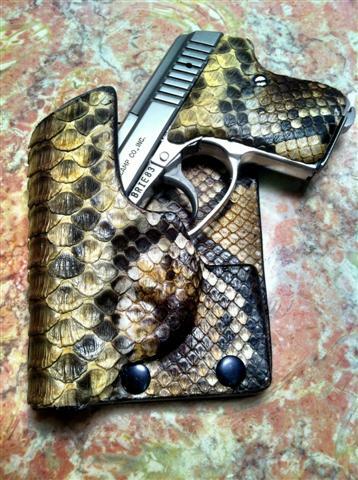 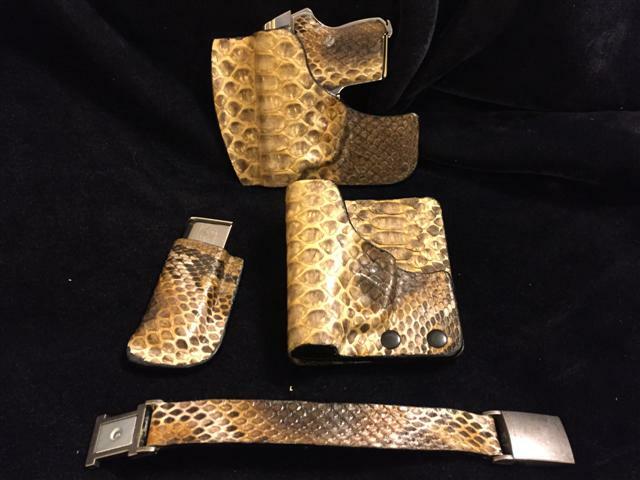 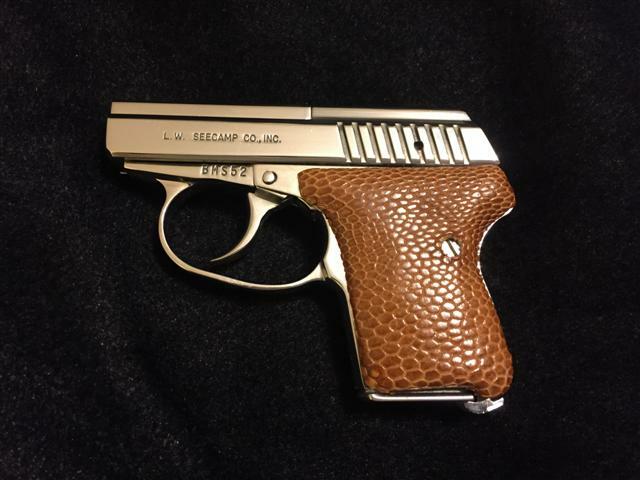 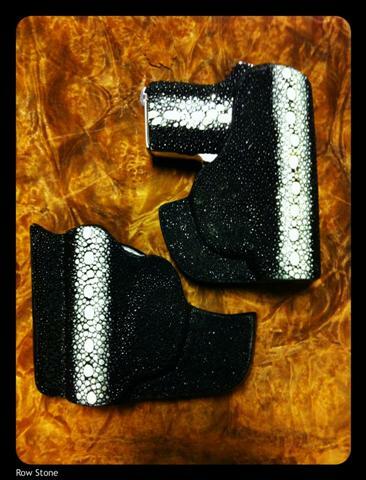 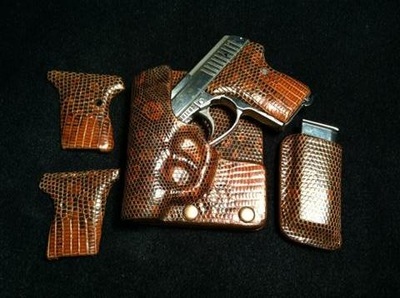 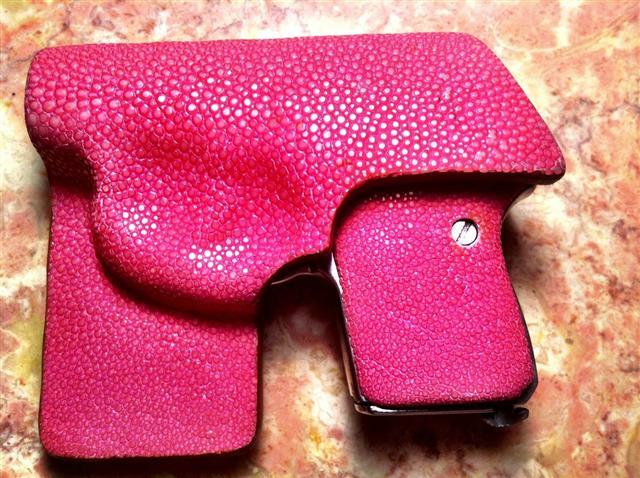 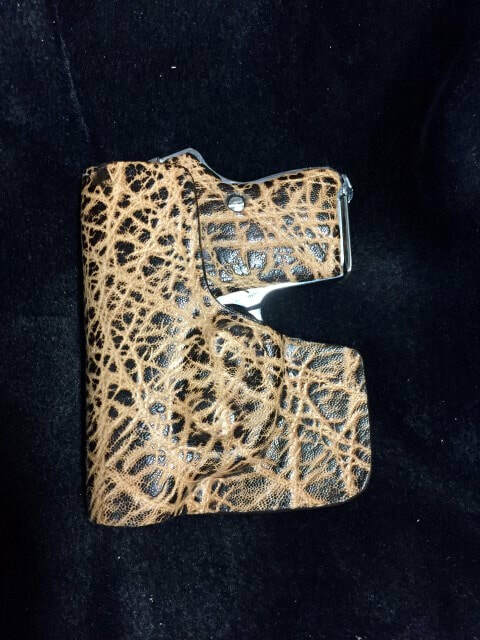 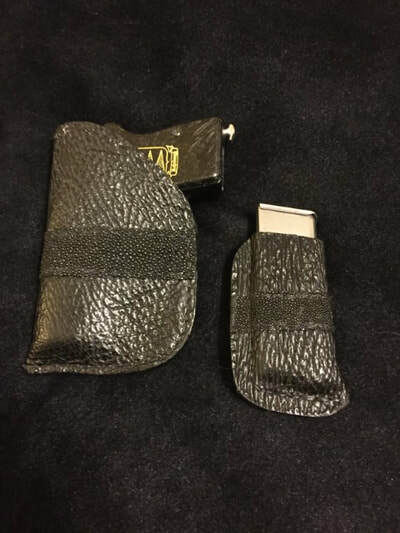 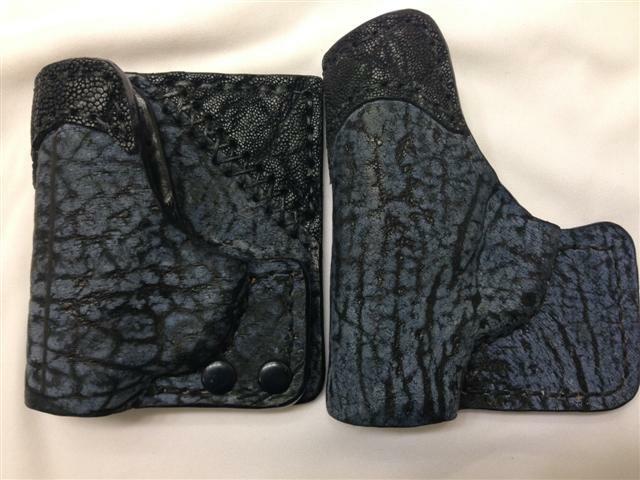 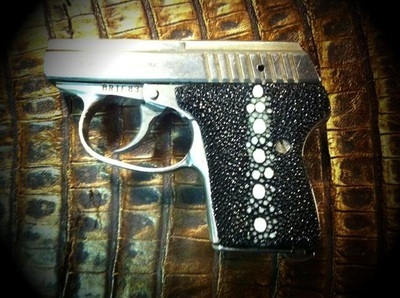 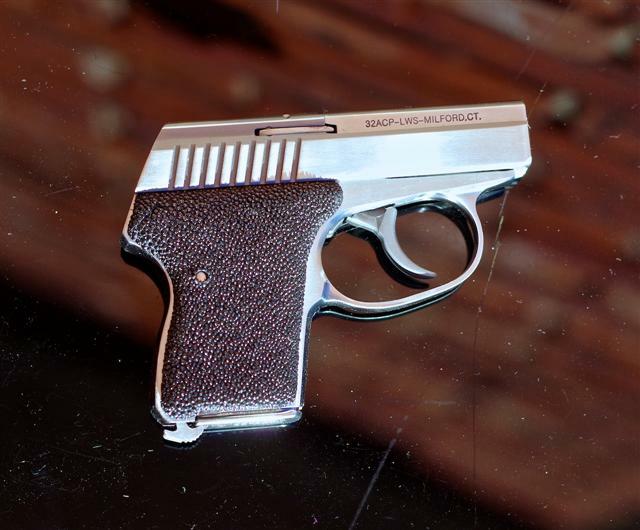 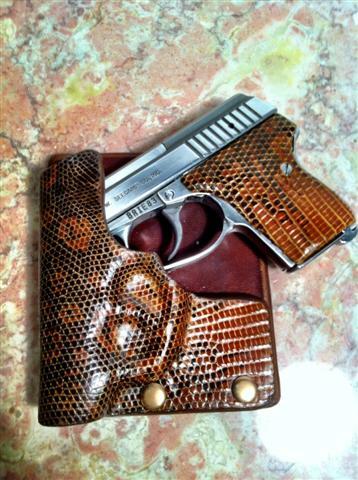 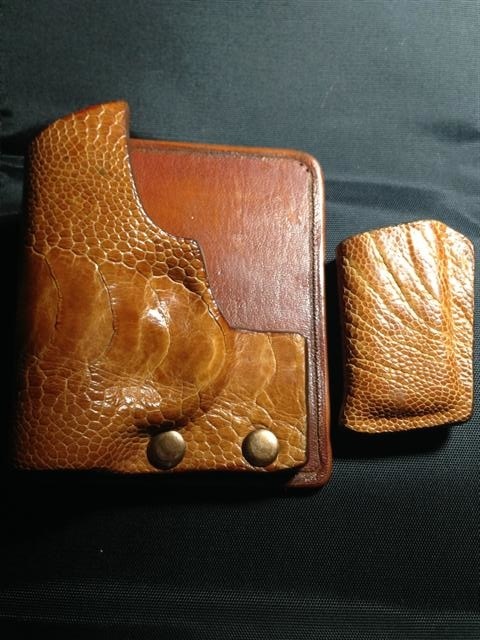 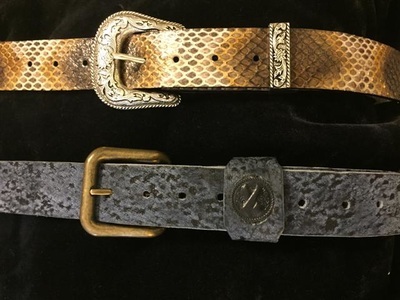 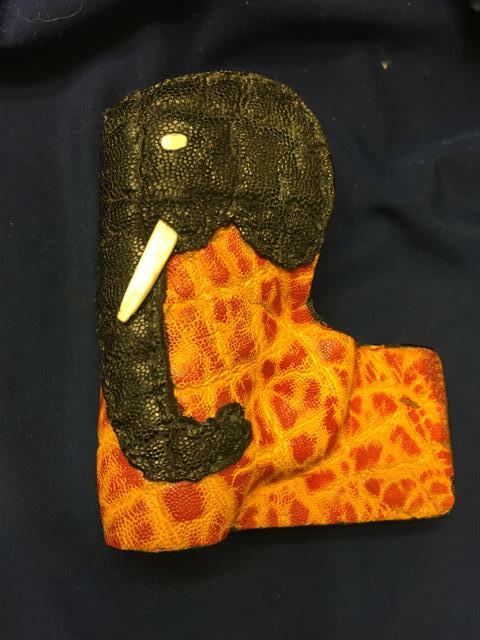 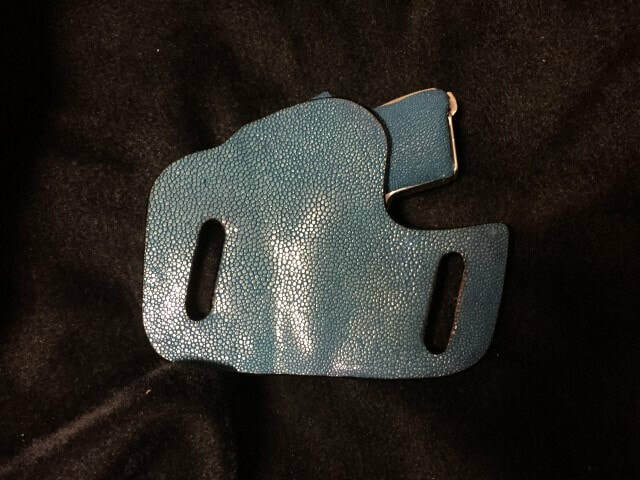 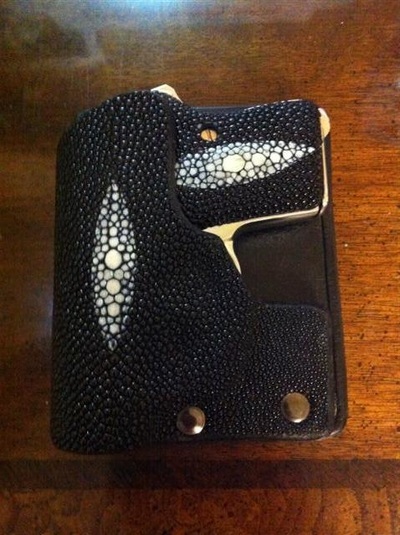 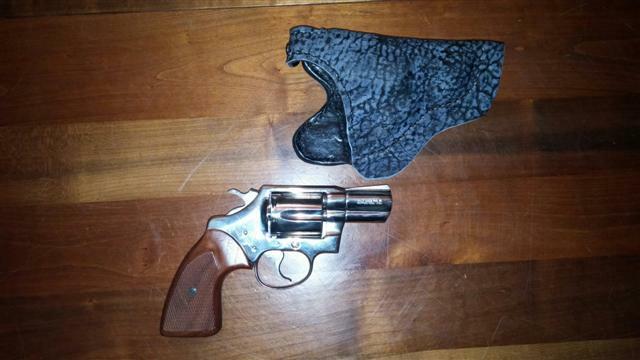 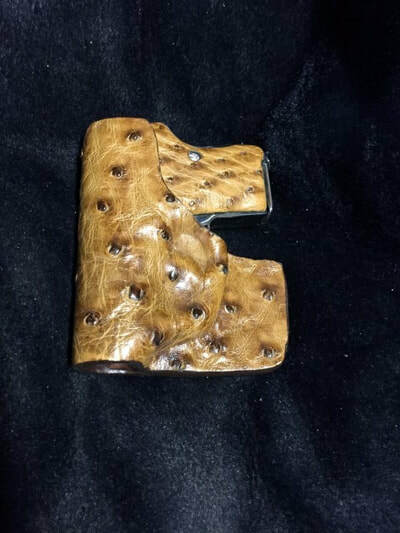 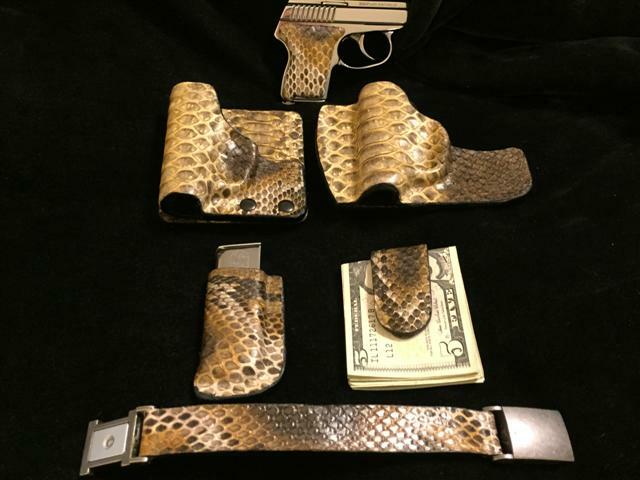 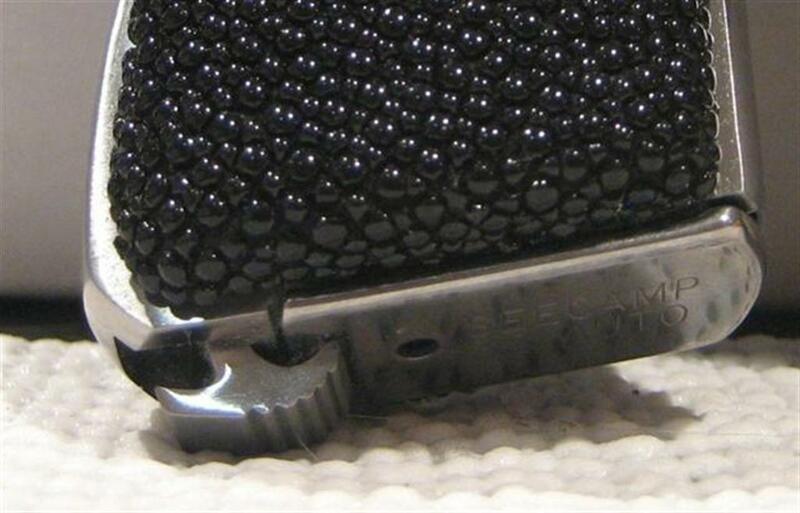 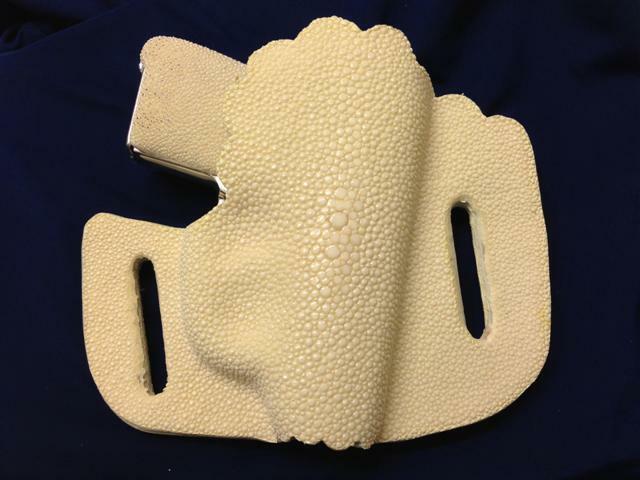 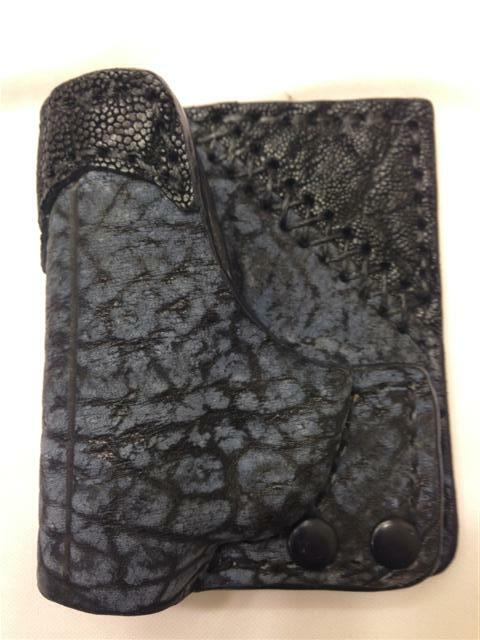 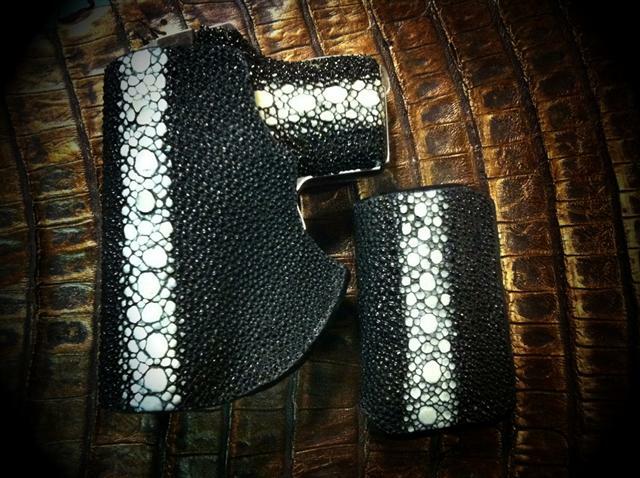 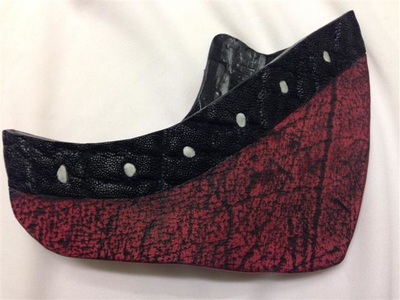 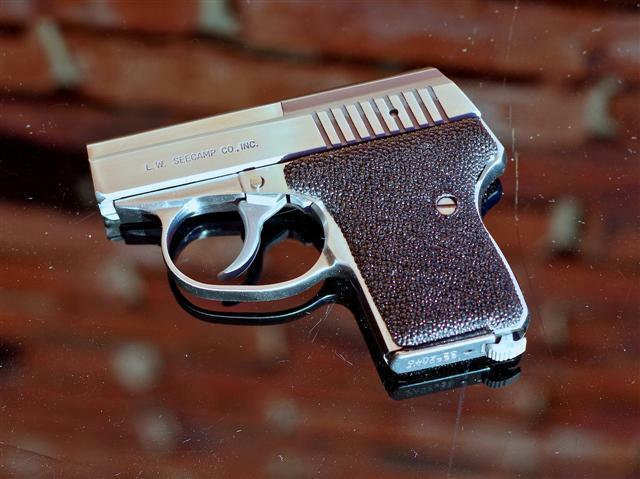 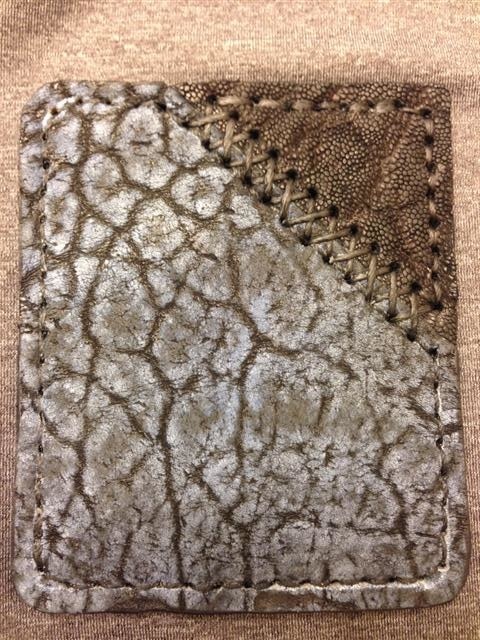 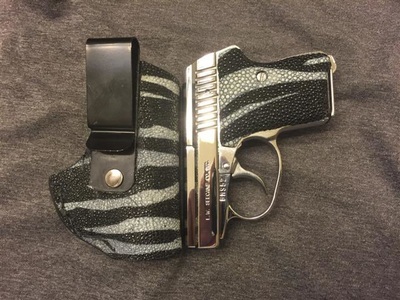 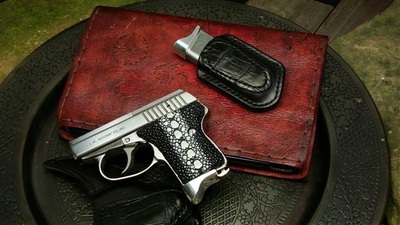 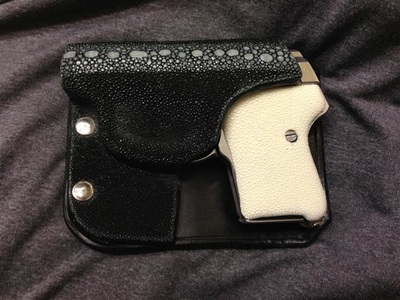 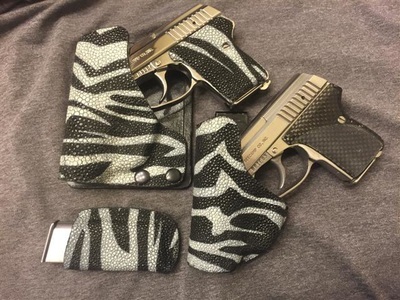 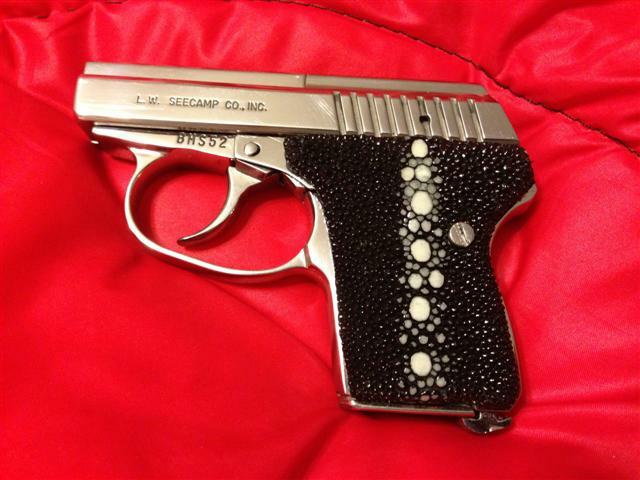 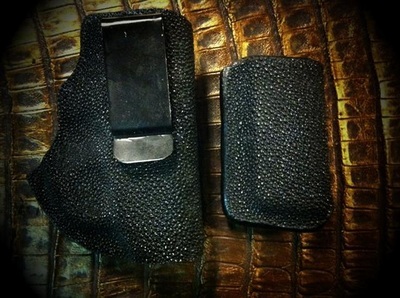 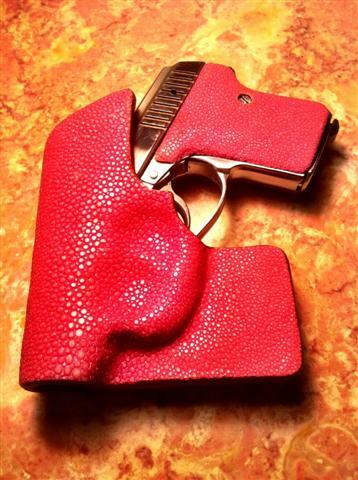 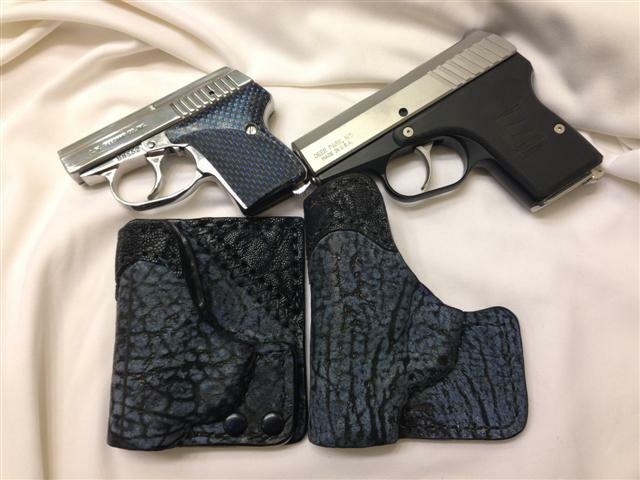 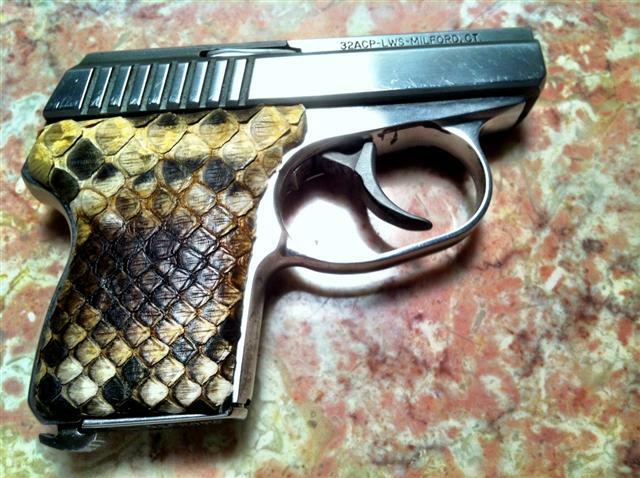 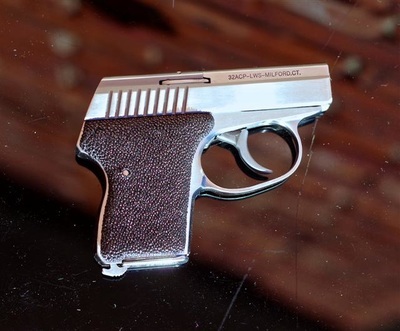 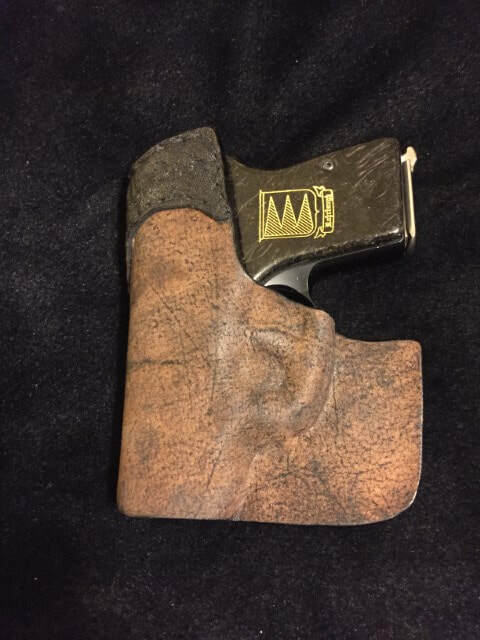 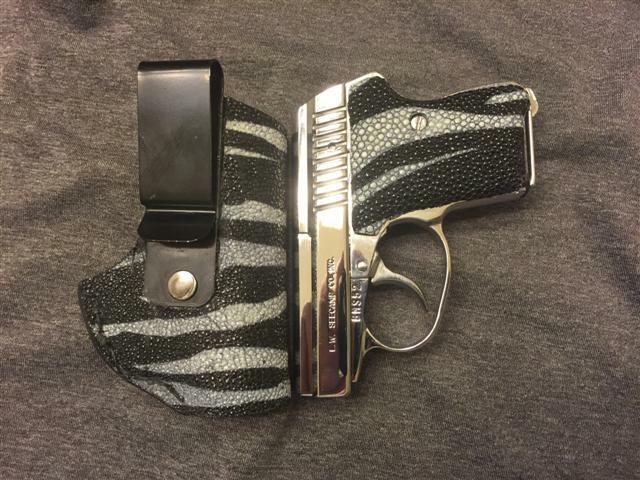 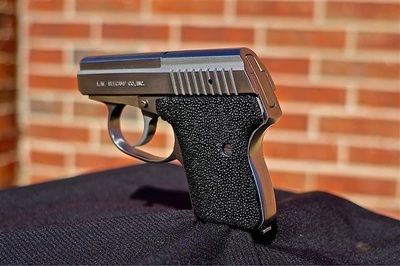 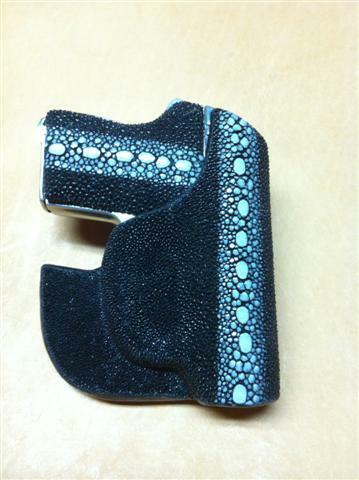 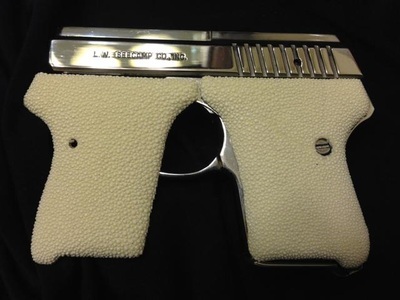 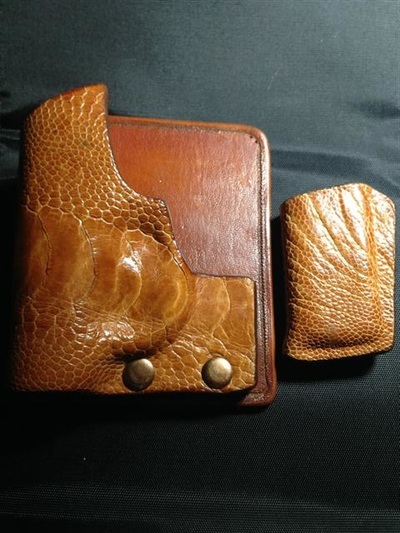 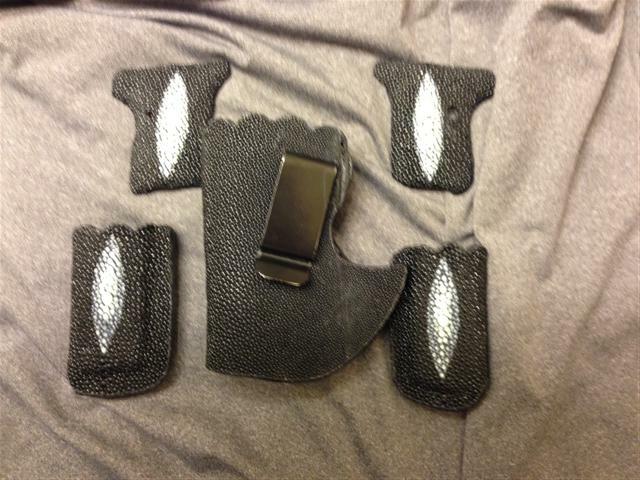 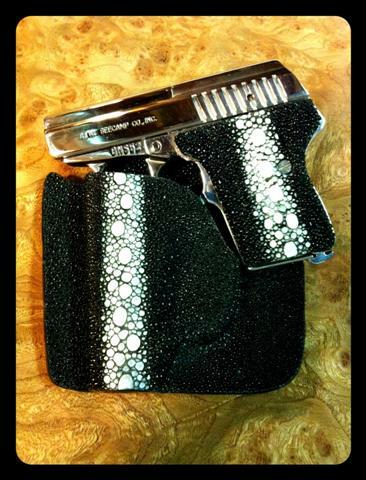 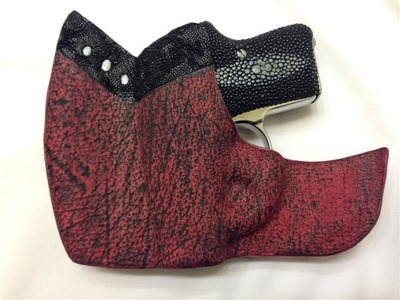 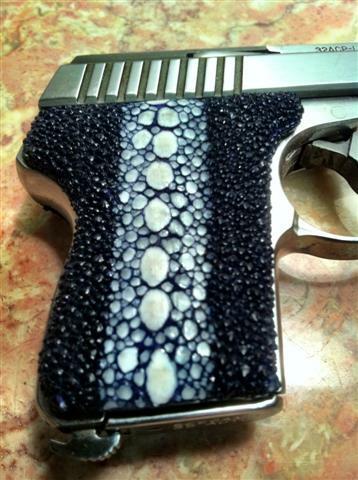 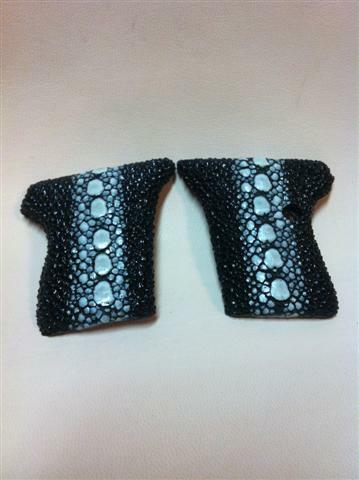 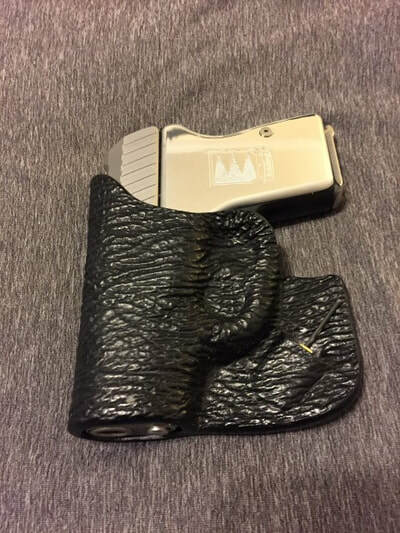 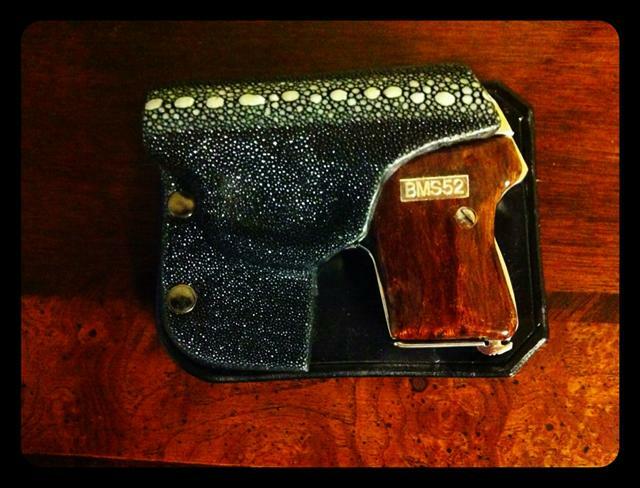 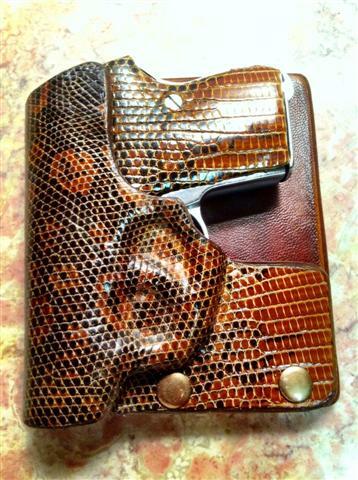 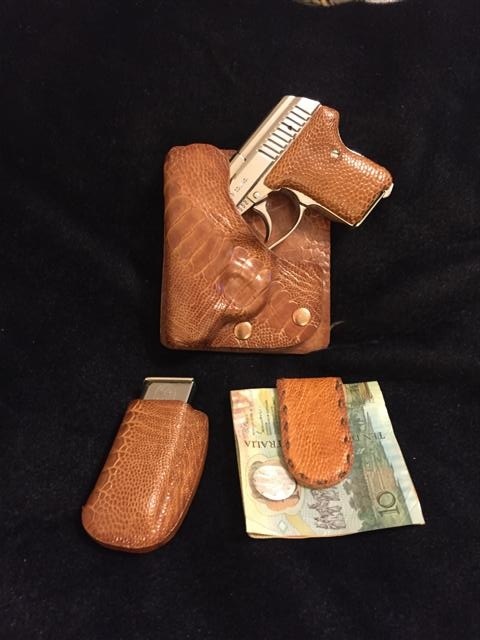 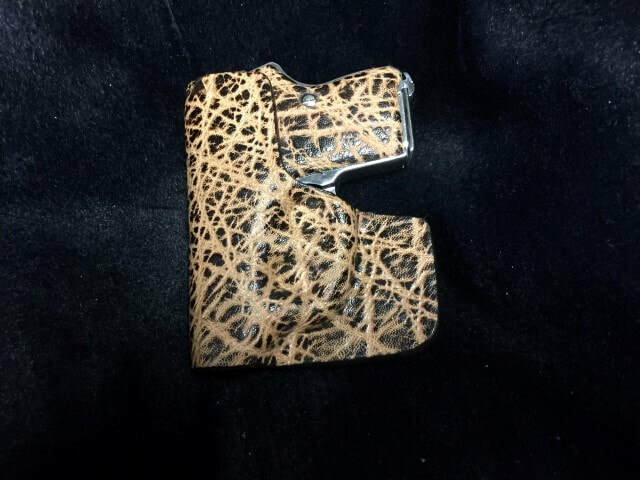 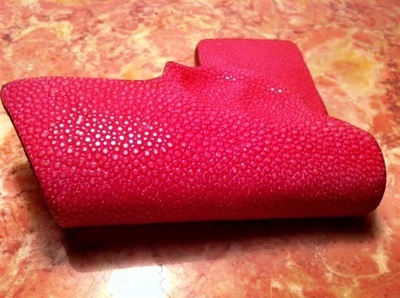 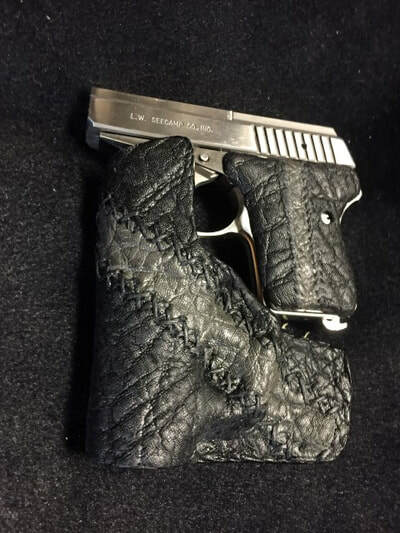 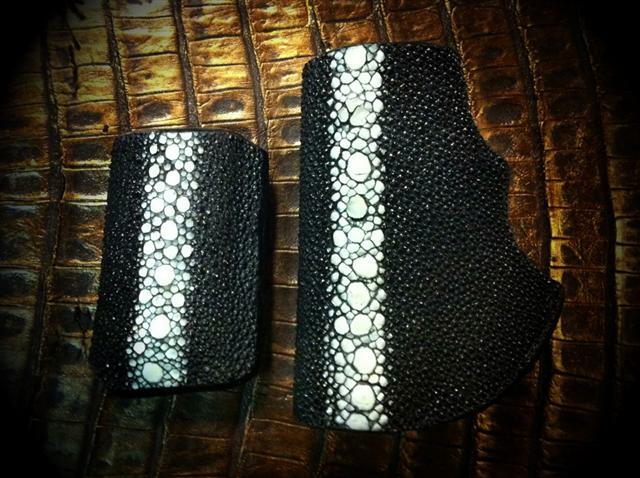 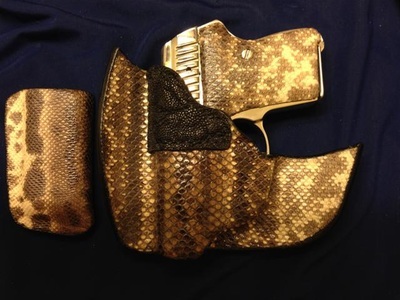 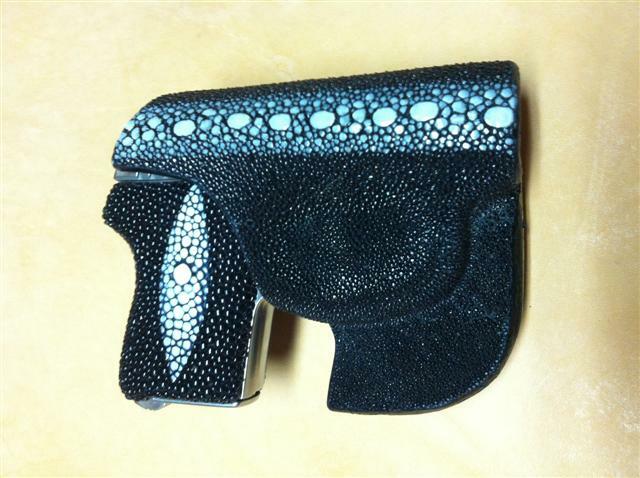 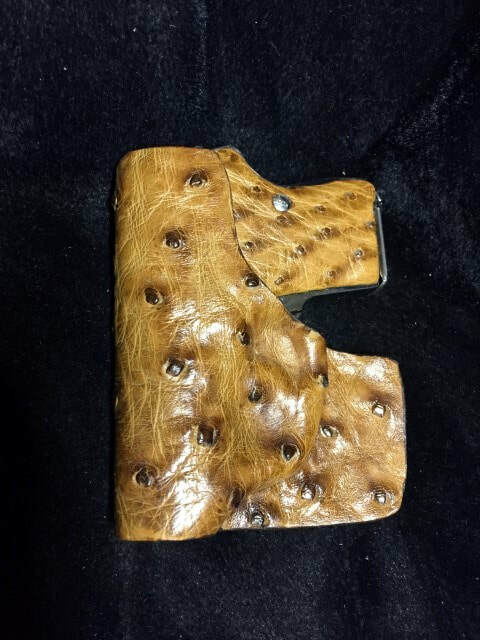 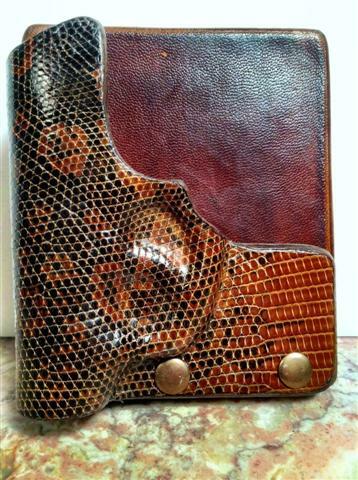 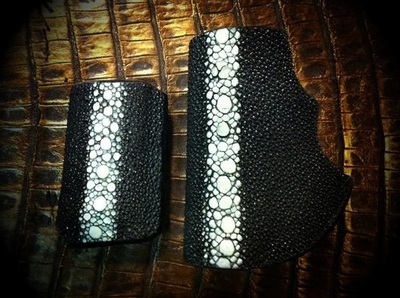 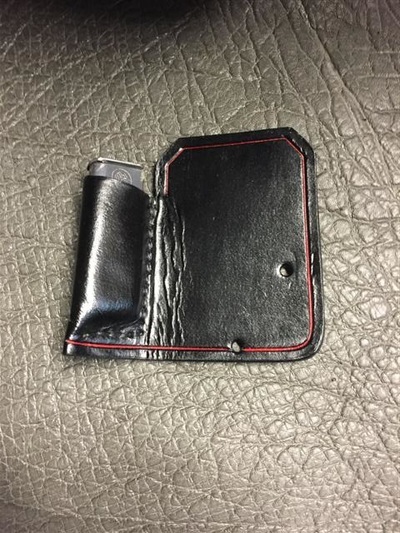 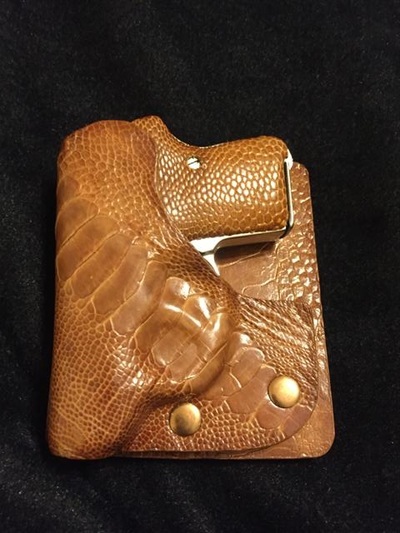 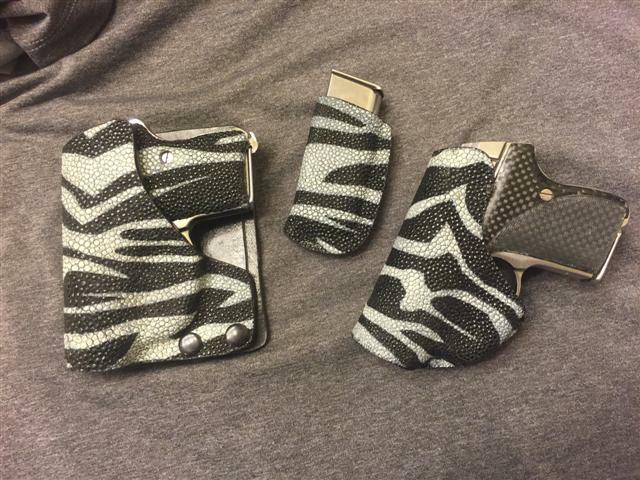 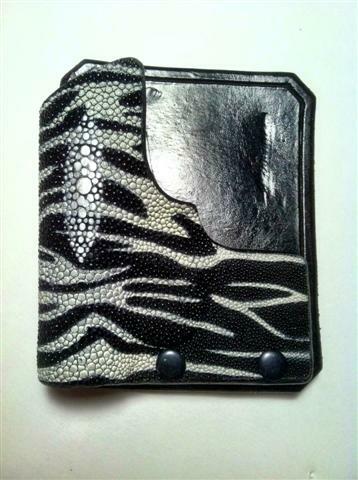 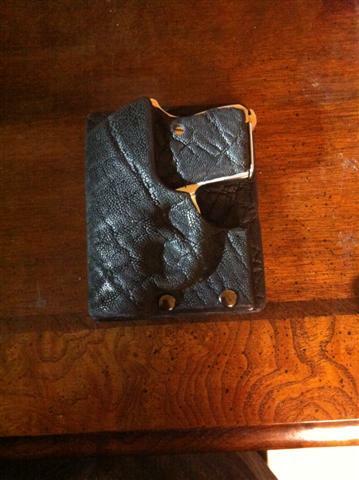 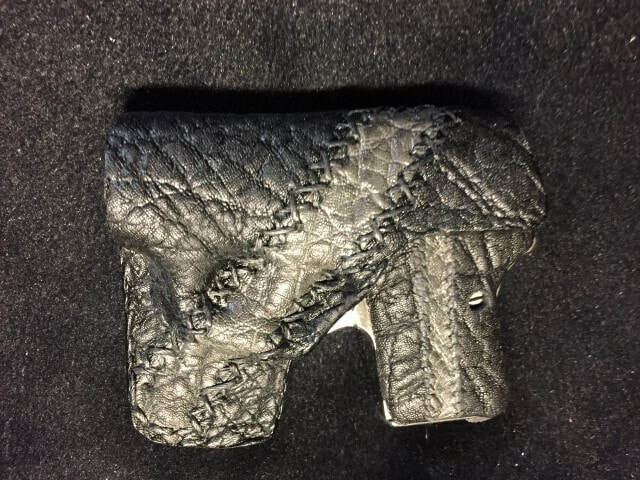 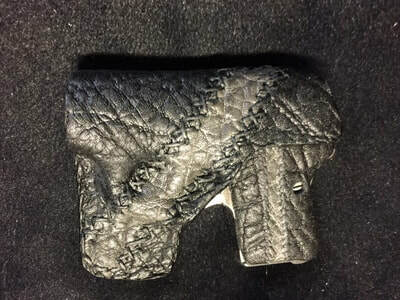 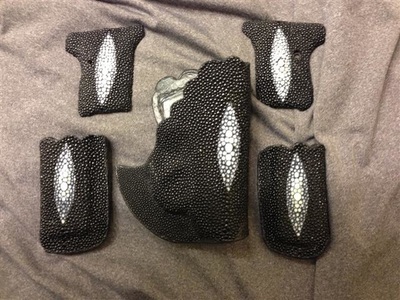 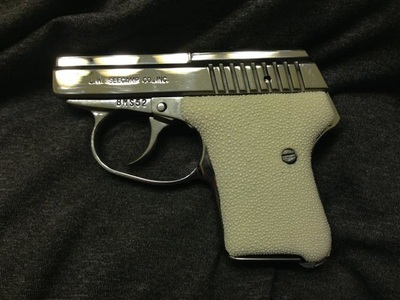 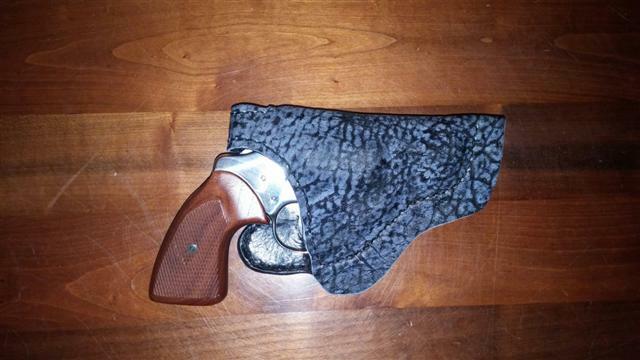 The holsters in this first gallery were made especially for some of our female customers. 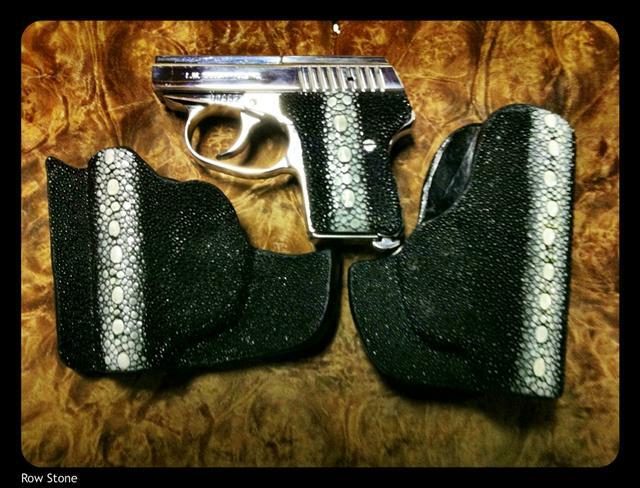 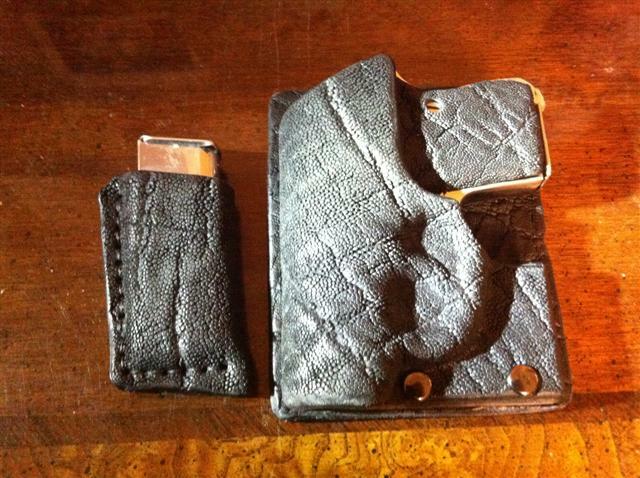 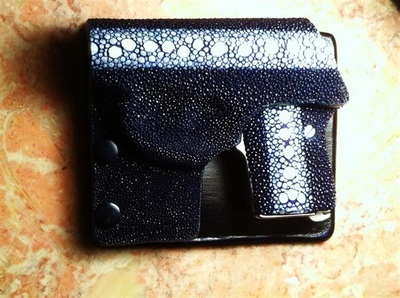 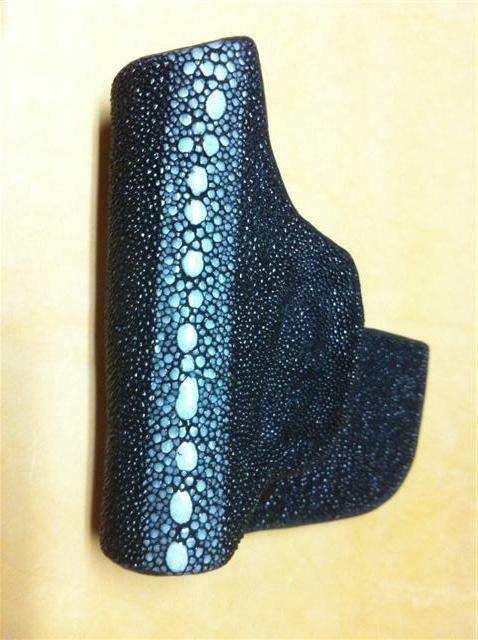 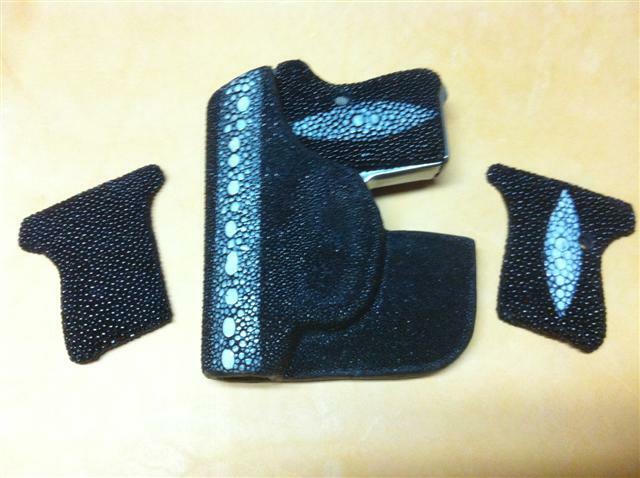 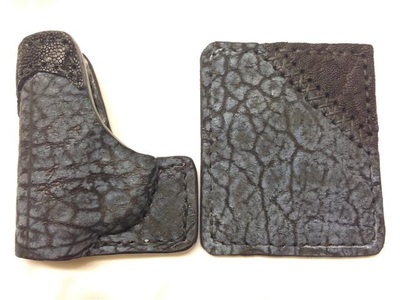 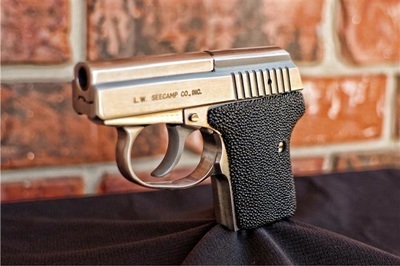 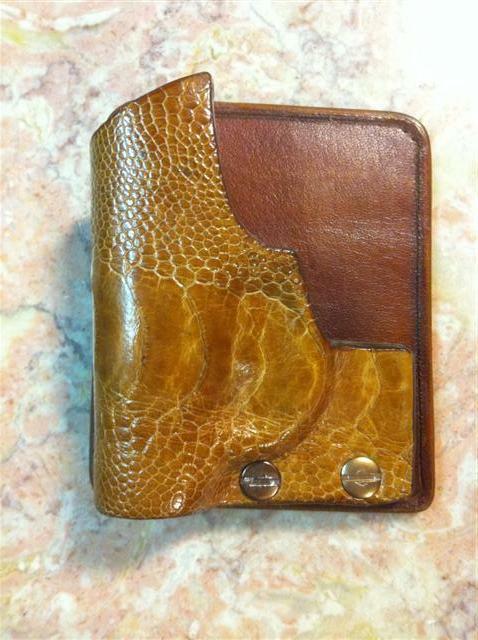 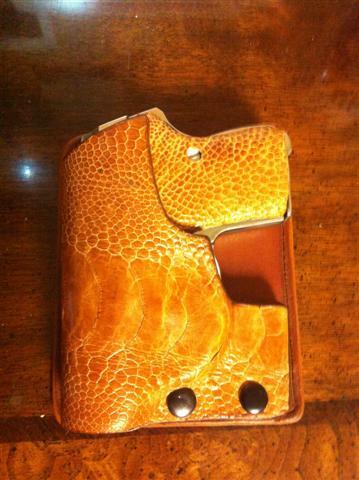 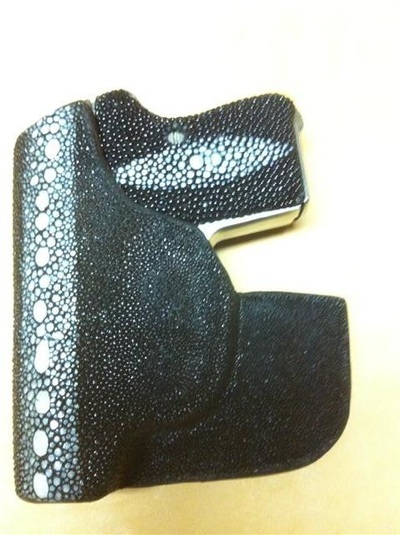 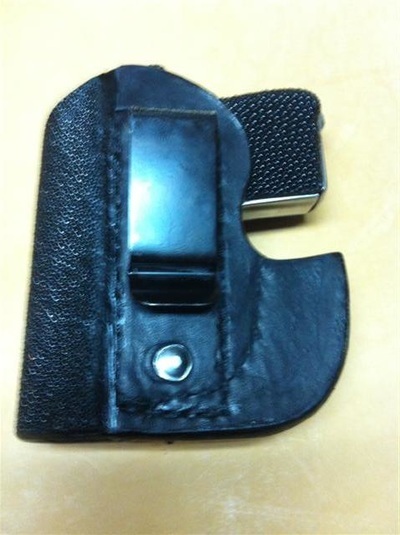 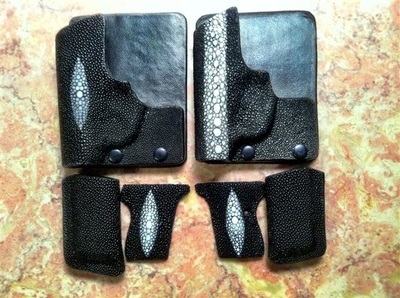 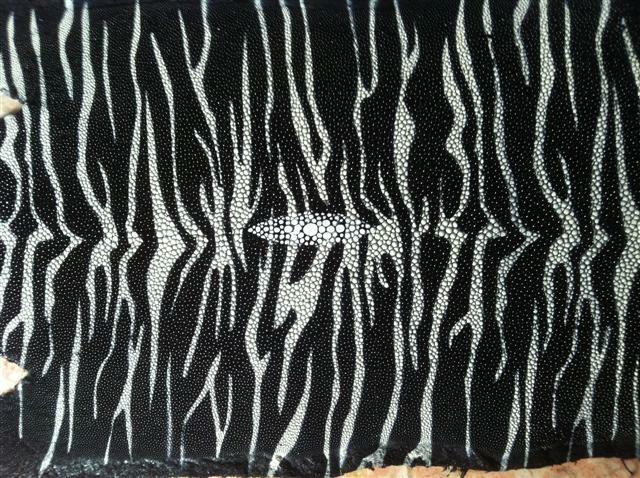 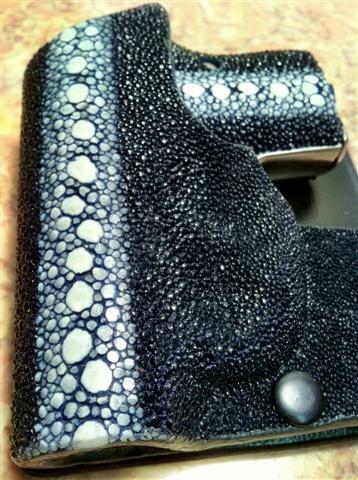 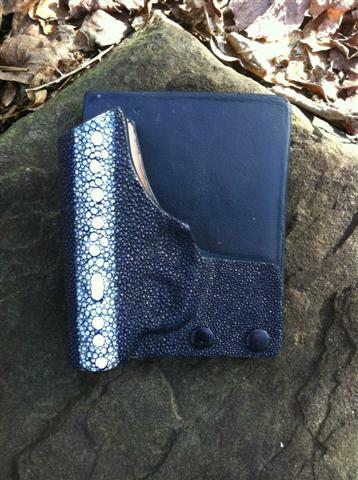 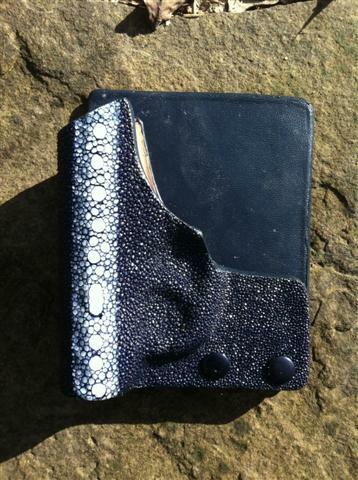 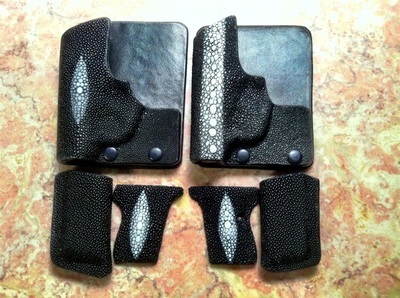 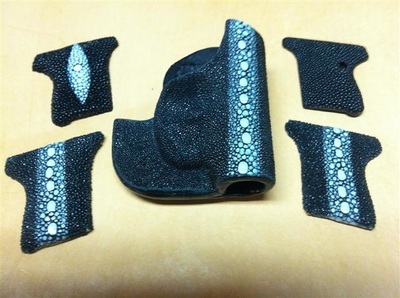 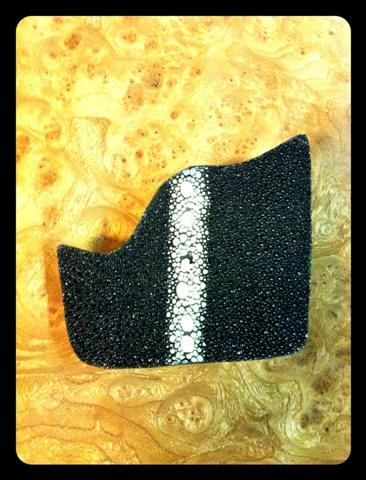 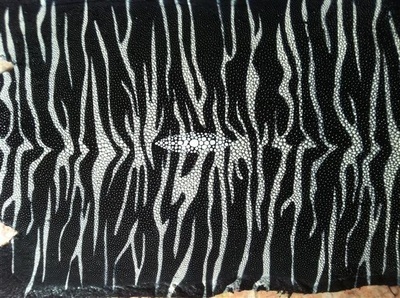 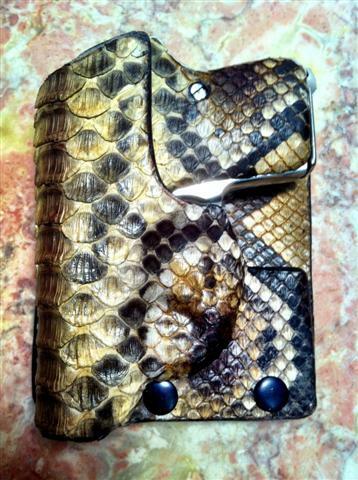 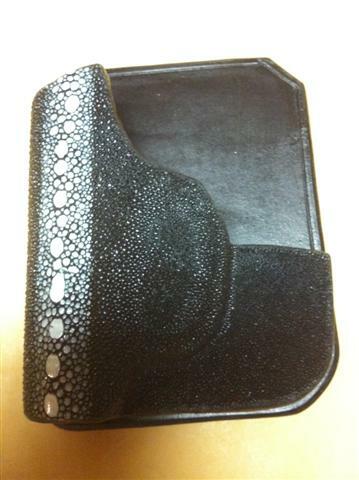 We hope that the scalloped edges on some of the holsters help to give them a more feminine look. 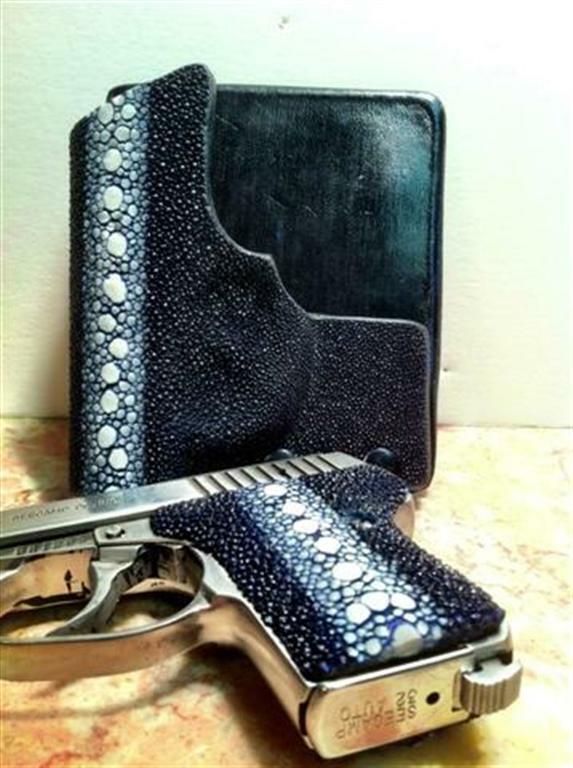 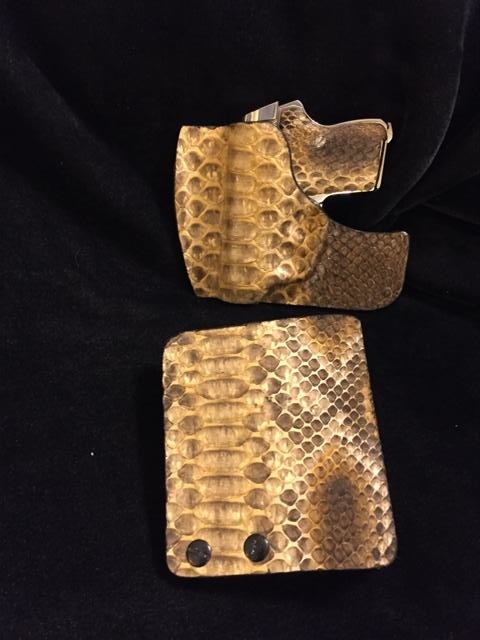 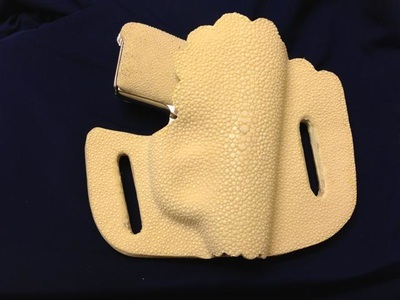 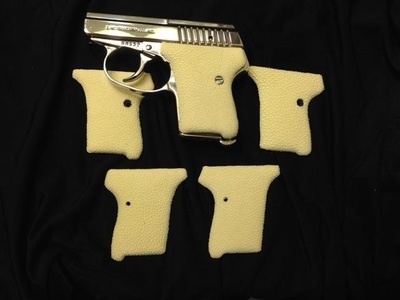 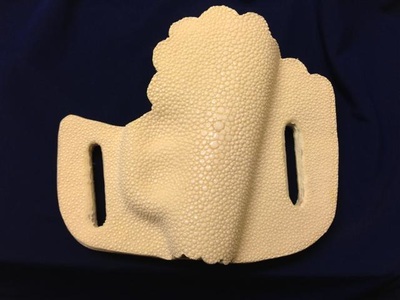 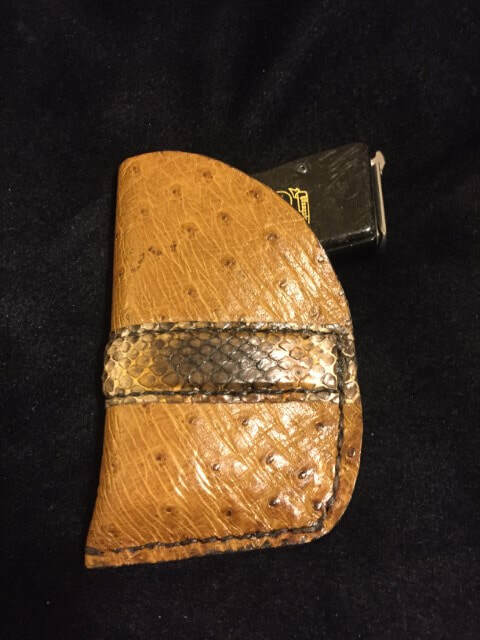 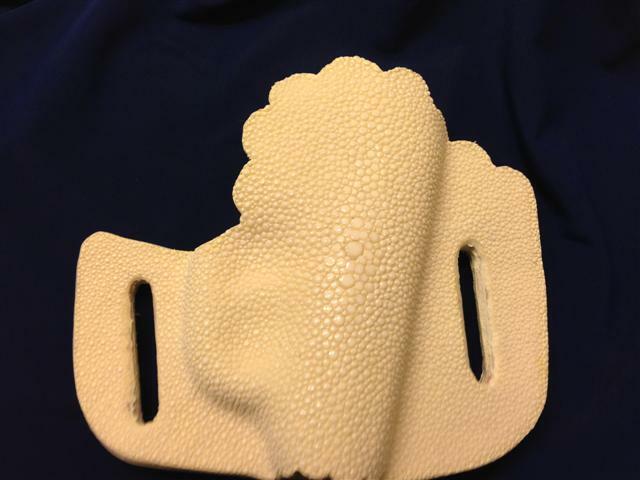 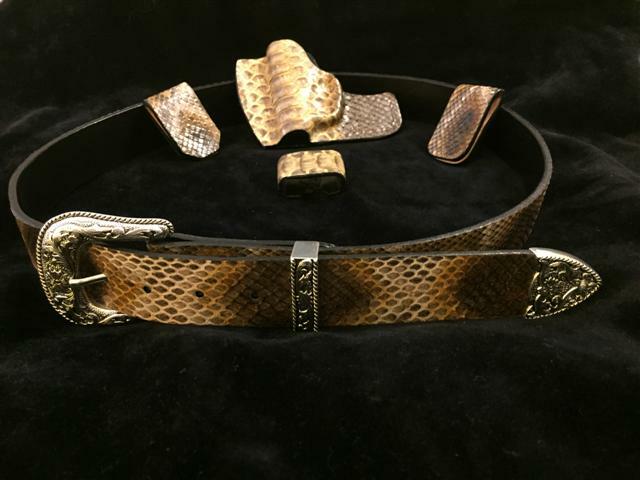 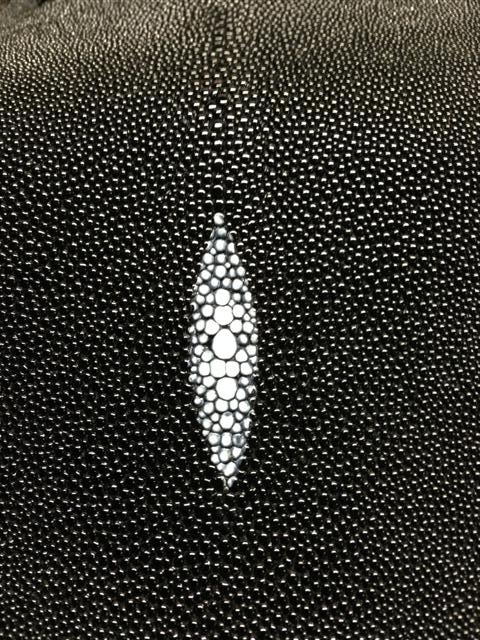 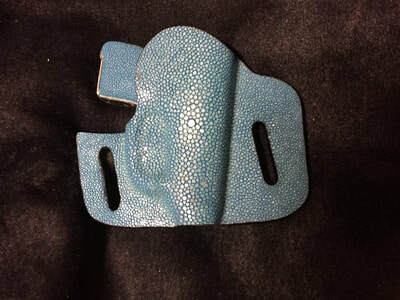 Our Ivory Stingray "Lady Luck" series can be made in any holster style and can be worn confidently under a light blouse without showing through like a dark colored holster does.